Indifesa is the Terre des Hommes Campaign in defense of girls and young women. Indifesa fights against gender violence and discrimination. Indifesa focus on important and delicate issues such as infanticide, selective abortion of female fetuses, girl child trafficking, sexual and domestic labour exploitation, child marriages and early pregnancies. Terre des Hommes believes that education is the key to defeating gender discrimination and Desìo deeply commits to this vision. Bangladesh, Burkina Faso, Haiti, Lebanon, Mauritania, Palestine and Perù are some of the countries where Desìo is supporting Terre des Hommes. For 50 years, Terre des Hommes has been in the front line protecting children worldwide from violence, abuse and exploitation. Terre des Hommes ensures every child with schooling, informal education, medical assistance and food. 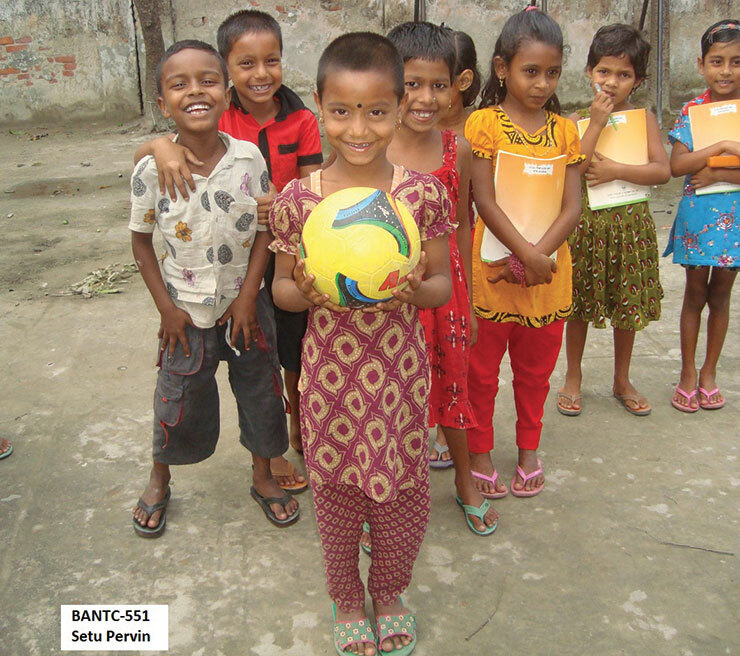 Terre des Hommes is currently present in 69 countries with 1,046 projects in favour of children. Shahida loves swimming! She occasionally assists her mother in house chores. She doesn’t have a television at home so when invited she enjoys watching cartoons in neighboring houses along with her family members. Her favourite meal is dry fish and rice. She also attends the schools drawing classes. 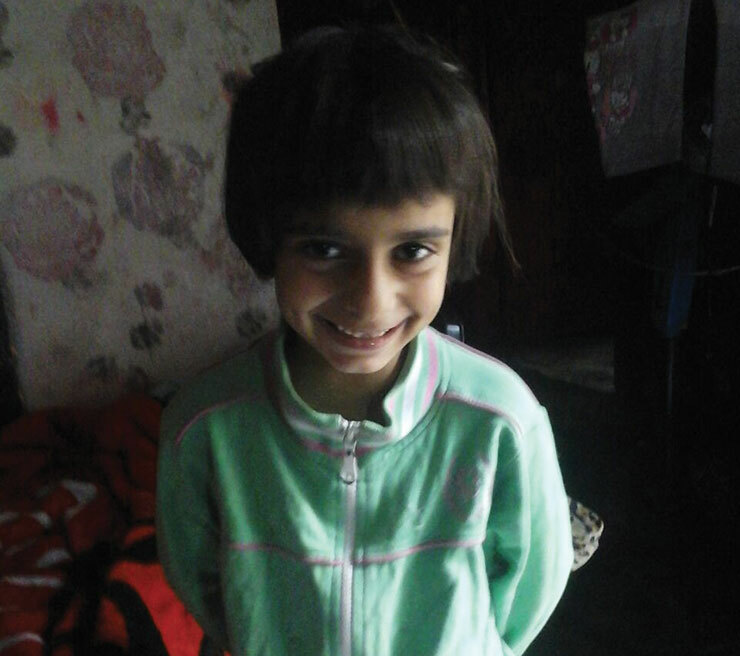 Munni is calm, tidy and always has a smile on her face. She shows a good attitude within school and learning as a whole. She assists her teacher with class room decoration, cleaning and preservation of teaching materials. She enjoys dressing up and being the star of the show, she sings and performs in cultural ceremony events arranged by the school. She also leads the organision of the national anthem and participates in it’s performance. She is a a natural leader . She attends art classes and is fixated with nature she especially enjoys the working animals. She helps her mother in doing house works like cooking, washing and cleaning. Her wish is to be a doctor. 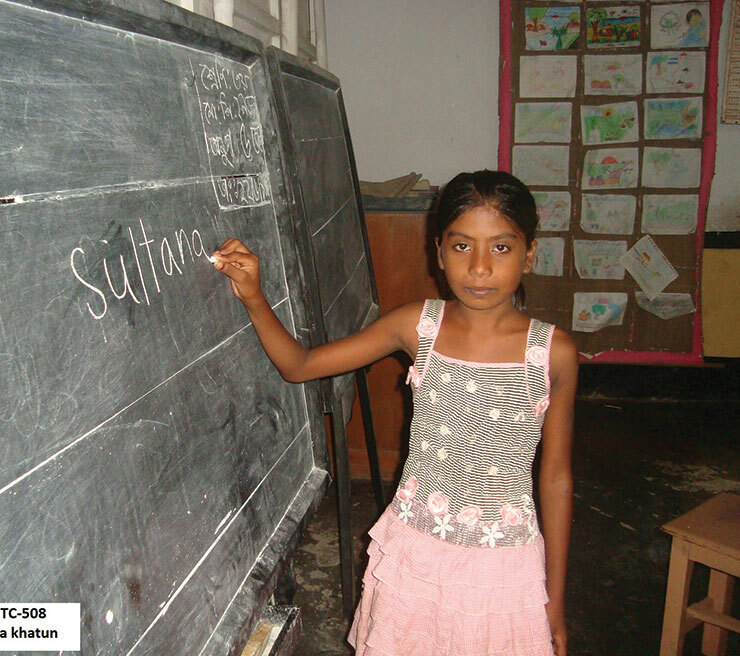 Sultana is a gentle and obedient with a lovely character. She always maintains good discipline at school. She is a happy, smiley young girl who thoroughly enjoys dressing up in different items of clothing. She participates in extra-curricular activities like cleaning the class room and making decorations as well as gardening. She loves to draw pictures of a nature scenery. When she gets time, she plays different local games with other students. She plays an active role is the school national anthem. When able she watches television dramas. She also helps her mother in doing house work, such as cleaning and washing family clothes. Fulguni usually awakes at 7am, she immediatly gets ready to prepare home tuition. Before sitting she eats a few biscuits and then studies for around an hour. She arrives at school 8.45am prompt with other children from her village. After arrival she spends time with fellow students outside prior to the national assembly. Fulguni has good energy with regards to activities in the class. She helps cleaning the class room, making decorations and keeps the teaching material in place. She always maintains a smiley face and participates willingly in different events like skipping and drawing. 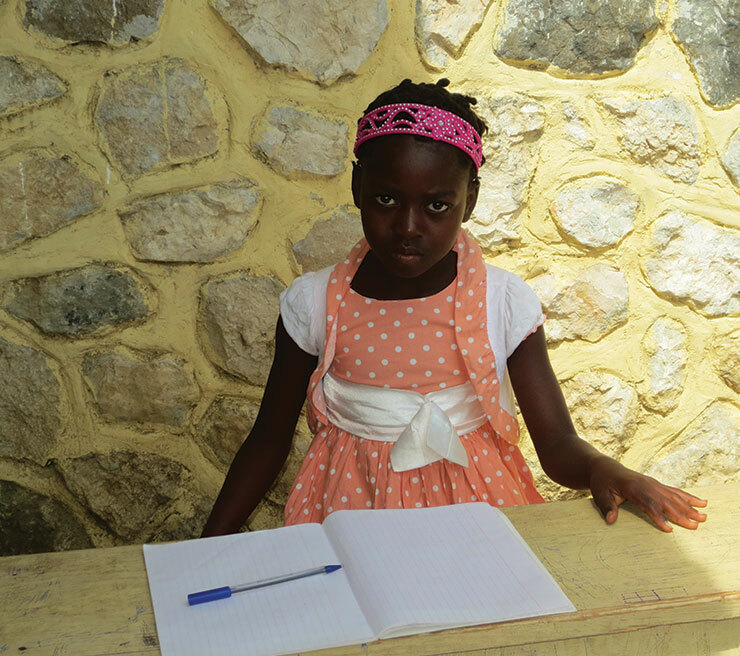 She is currently still a shy girl but teachers are hopeful about her future and hope she will develop more. She is amicable and keeps a good relation with the class mates. End of class she goes back home with some neighboring children. Sumaiya enjoys eating egg rice. Part of her activities include attending drawing classes. She enjoys watching cartoons with her family members when time allows. Occasionally she visits the nearest pond to practice swimming. Maya sings local Gith (a traditional village song) with a group of girls in her community. She enjoys drawing pictures of fruits with a house in the background. She watches cartoons with her family members. She likes to eat vegetables and rice. She is an expert in origami. Meghna is the village gossip she frequently makes small funny stories. She also sings Gith together with girls in her community. She watches cartoons in the evening with her family members. She likes to eat hotch-potch with meat. Pervin thoroughly enjoys listening to music from the television. She is also a little bit of a gossiper and makes others around her laugh. Her favourite meal is meat and rice. Jim draws the picture of boats with a fishing scenery. She likes to hear the folk-song and watch cartoons. She dances with other girls from her village. Her favourite meal is fish with rice. She frequently visits her grandparents with her mother. Ritu enjoys drawing the picture of boats within a fishing scenery. She likes to hear the village folk-song and watches television in her spare time. She dances with the other girls in her village. Her favourite meal is meat with hotch potch. Taslima likes to dance and sing. She watches cartoons with her family members. The girl chooses to eat fish with rice. She also likes to imitate using clothing. 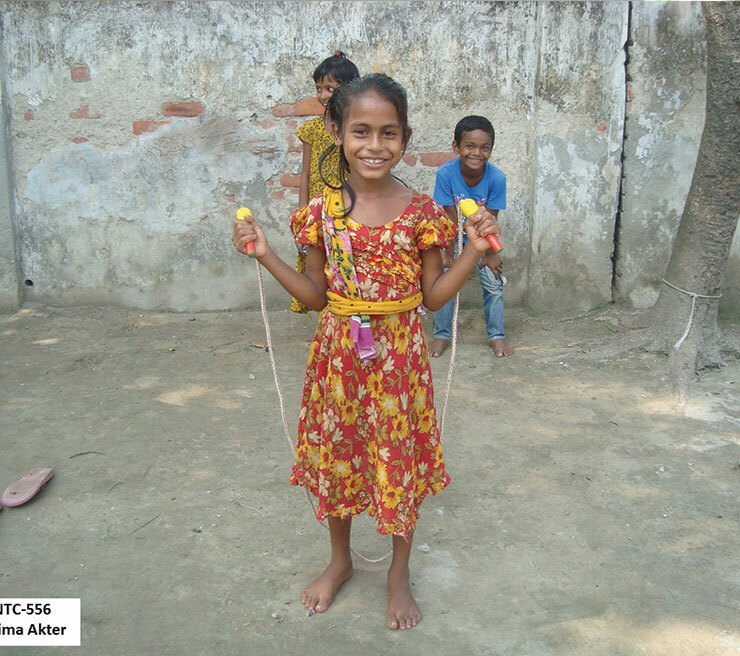 She has habit to play the ‘Fulguti’ game which involves a skipping rope with a group of girls in the village center. 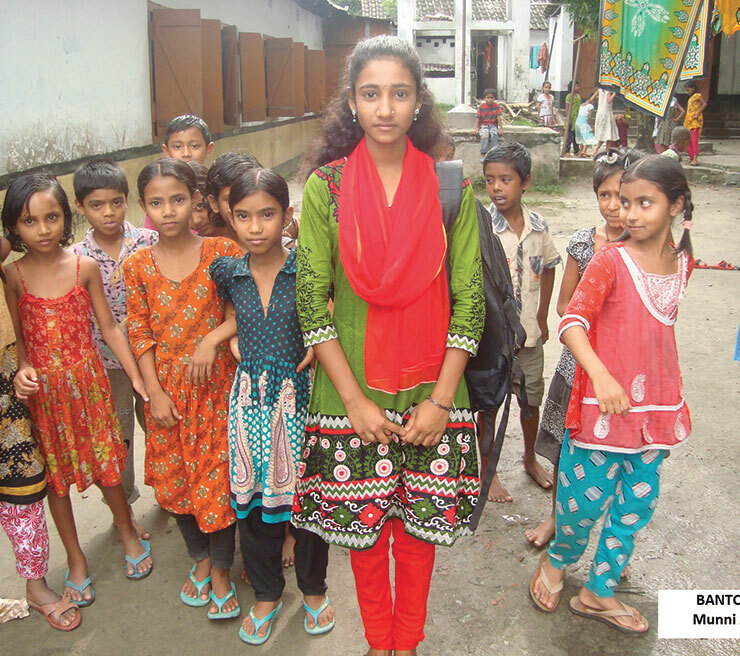 Taslima is interested to take further education and wishes to be involved with a government based job after the completion of education. Dipa chooses the yellow colour with flowers. She collects flowers from different places around her village. She likes to hear songs and tries to dance with the other girls. She also likes to hear the small imaginative story from the elderly. 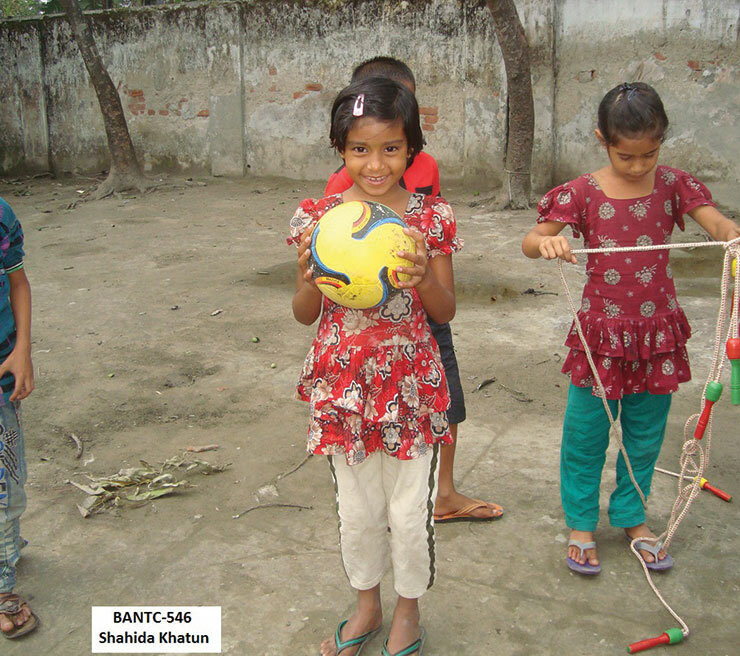 Her favourite hobbie is to play with the skipping rope with others. She likes to eat fish and beef with rice. The girl is interest to take further education and to one day become a nurse. Shathi loves to wear new outfits. She gets the upmost pleasure when she is well dressed. 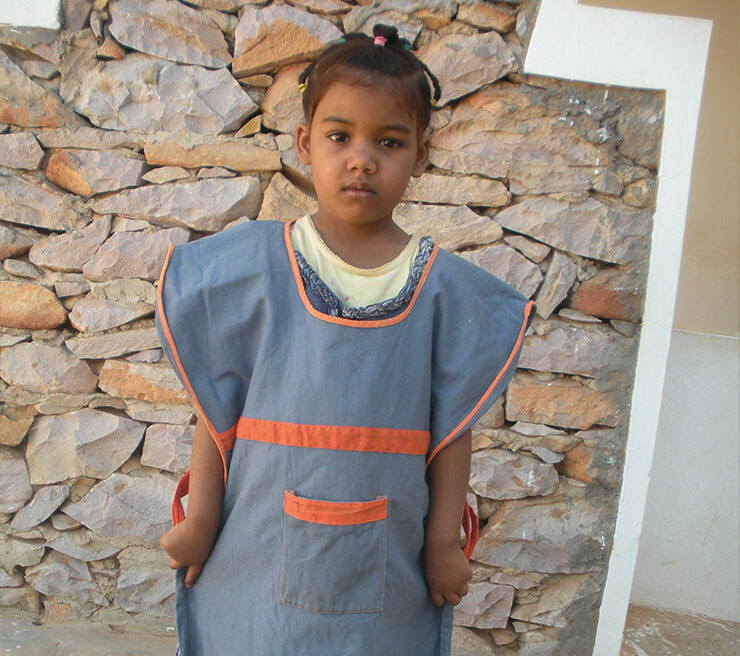 She wishes to continue education and become a policewoman. At school she draws nature with a river scenery. She likes to eat meat with rice. The girl keeps busy by playing with the skipping rope. She frequently visits the pond to practice swimming with other children. Arif draws the picture of animals with river scenery. When time allows he also watches the cartoon picture and series on the television. He is obedient and respectful to his elders. He likes to hear the folk song and is a bit of a mover on the dancefloor. His favourite hobbie is cricket and spends many of hours practising. Favourite snack is apple and also loves meat for dinner. His ambition is to take higher education and then become a police officer. 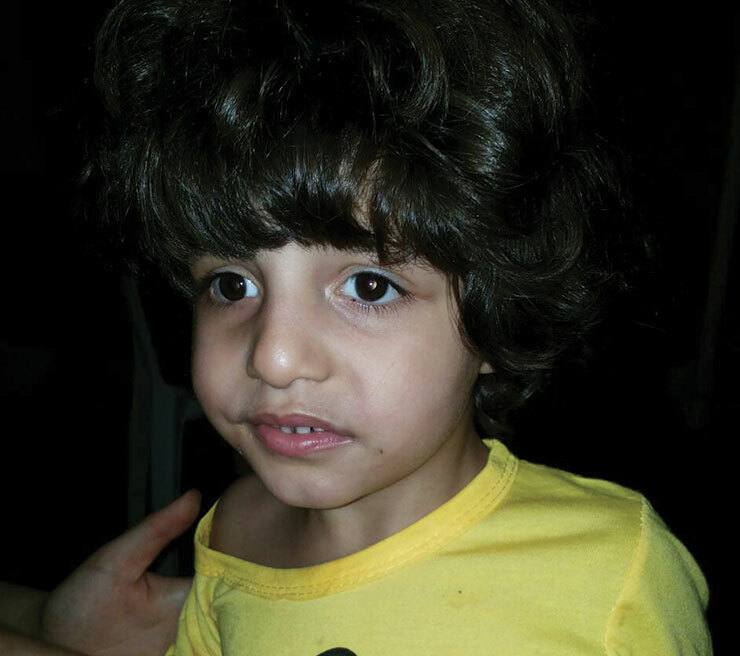 Koulsoum is turbulent while at home and at school. She often fails to cooperate. Her main interest is to be with her group of friends and play games like hopscotch. Her mother promises to introduce small household activities. Larissa is about 10 years old, but her date of birth is not certain. She is clever, hard working and very appreciated by her teachers. She lives with her parents, a brother and two sisters in a family compound in a thatched roof hut, with a single room and the latrine is outside. They have no electricity and take water from a well. 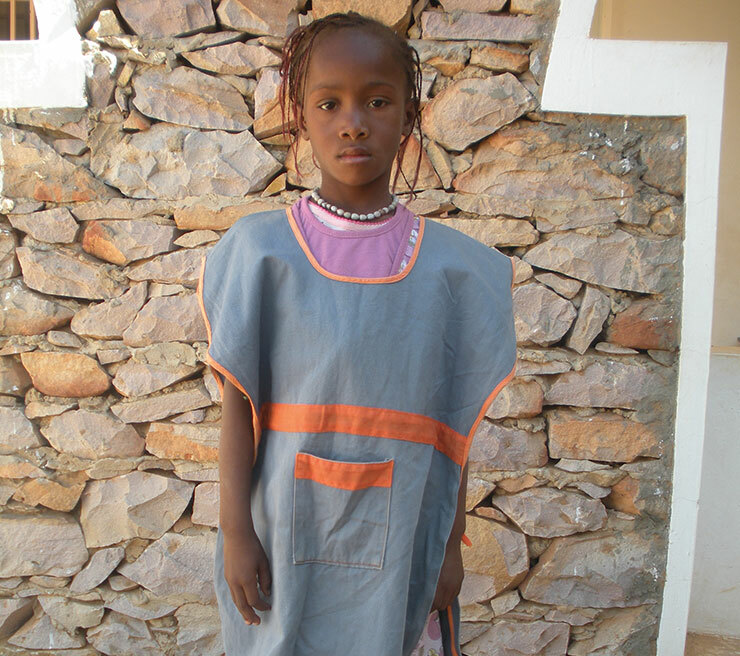 She attends primary school and has decided that she will be a nurse. Her father is a poor farmer. Larissa’s health conditions are to be considered goodEndFragment . 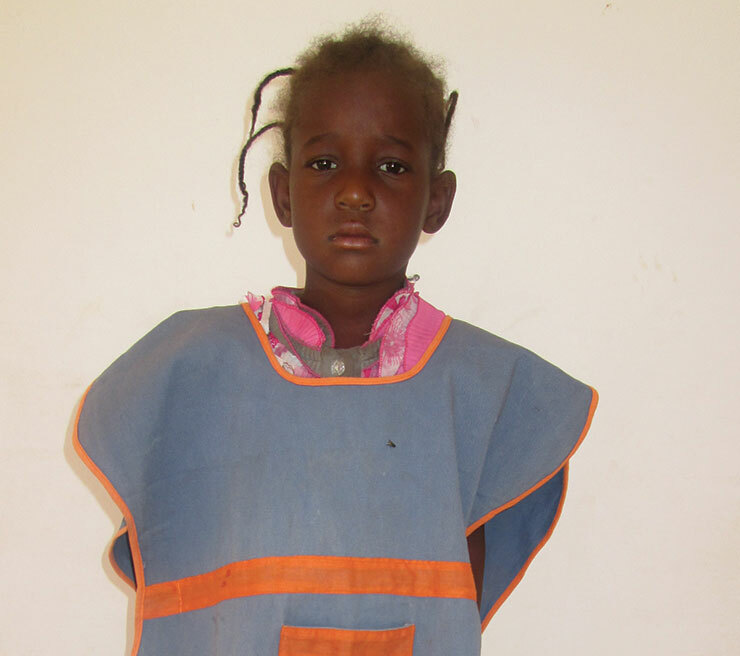 Saoudata is about 10 year old, the real date of birth is uncertain. She is a shy girl, that likes to go to school and dreams to become a teacher. After her father’s death, her mother remarried and moved to another village; Saoudata, her sister and two brothers live with their grandparents in a family compound in a thatched roof hut, with a single room; the latrine is outside. They have no electricity and take water from a well. Salamata is about 10 years old, her date of birth is not certain. She has a strong character. She lives with her parents in a family compound, the rooms are thatched roof huts and the latrine is outside. They have no electricity and take water from a well. 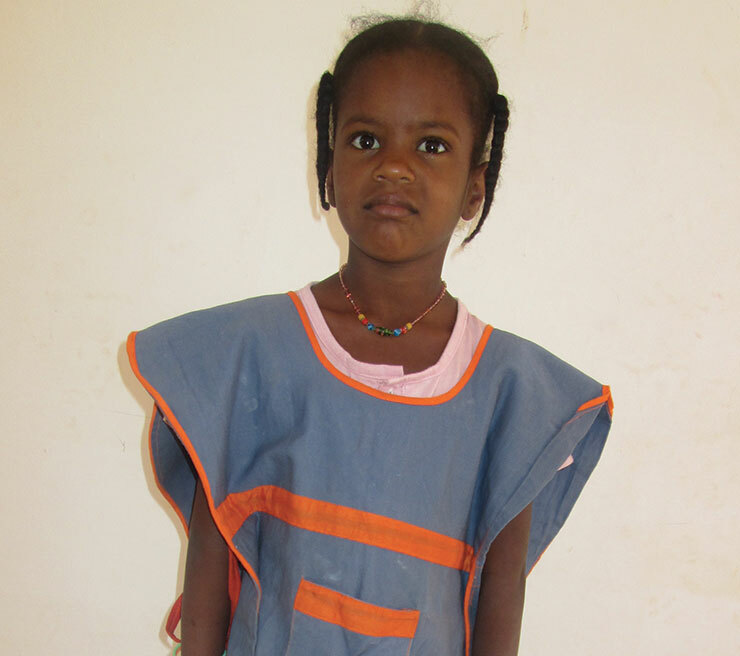 Salamata attends primary school and she is very attentive because she would like to become a “good teacher”. Her father grows vegetables and both parents also provide for five orphan nephews and nieces. Salamata’s health conditions are to be considered good. Rasmata is about 8, but the real date of birth is not certain. Her father died when she was very little; she lives with her mother and four sisters in a family compound, in a thatched roof hut with a single room; the latrine is outside. They have no electricity and take water from a well. The mother grows corn and vegetables in a small piece of land the father left to his two wives. 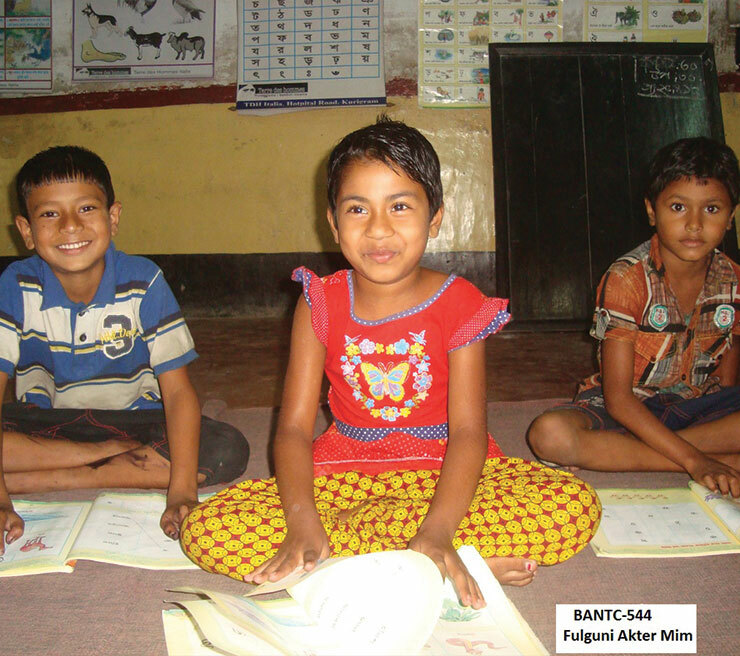 Rasmata attends regularly the second year of primary school. She loves to play with her school mates and is always ready to help her mother at home. Latifa is a shy, scared and lazy girl. She does not collaborate with her fellow school mates. However at home she enjoys spending time with her cousins and helps with the cooking . Her aunt is her main motivation. Arnaud is calm, polite, serious, dynamic, attentif and helpful. She helps her uncle with the feeding of their animals and also grow crops using the farm machinery. 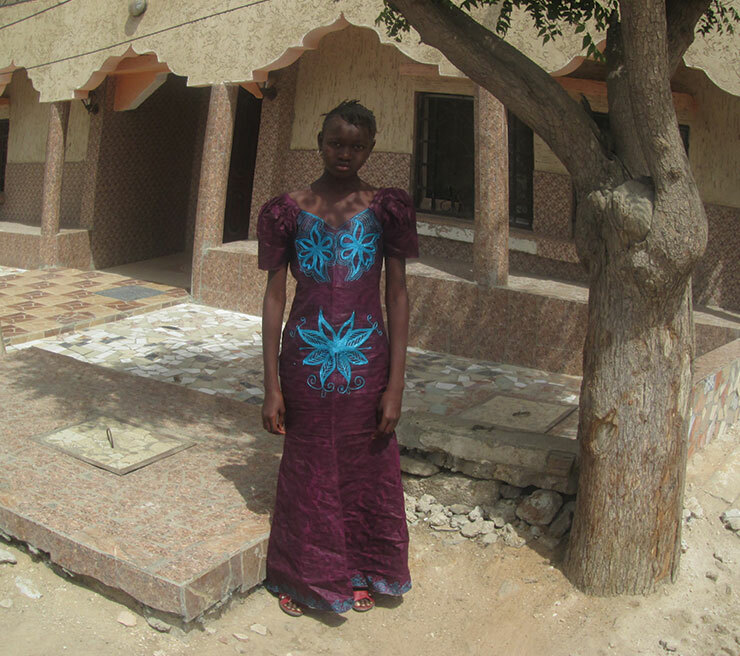 Fauziatou’s date of birth is not certain, but her mother says she is about 12 years old. She lives with her parents, three brothers and two sisters in a family compound, in a thatched roof hut with a single room; the latrine is outside. They have no electricity and take water from a well. 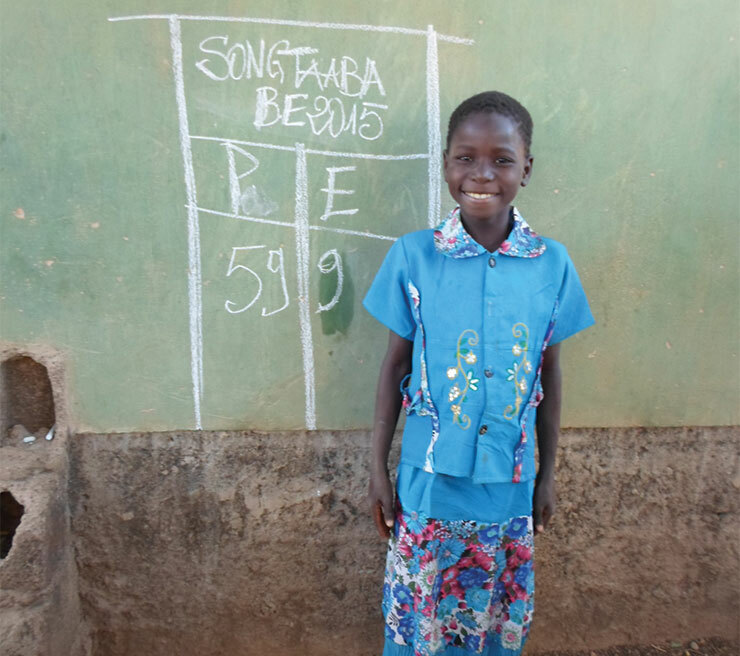 She attends primary school regularly and with good marks even if her school is quite far from her house. Her father grows cereals, mostly for the family, and vegetables; after the needs of the family are met, whatever is left is sold on the local market by Faouziatou’s mother. 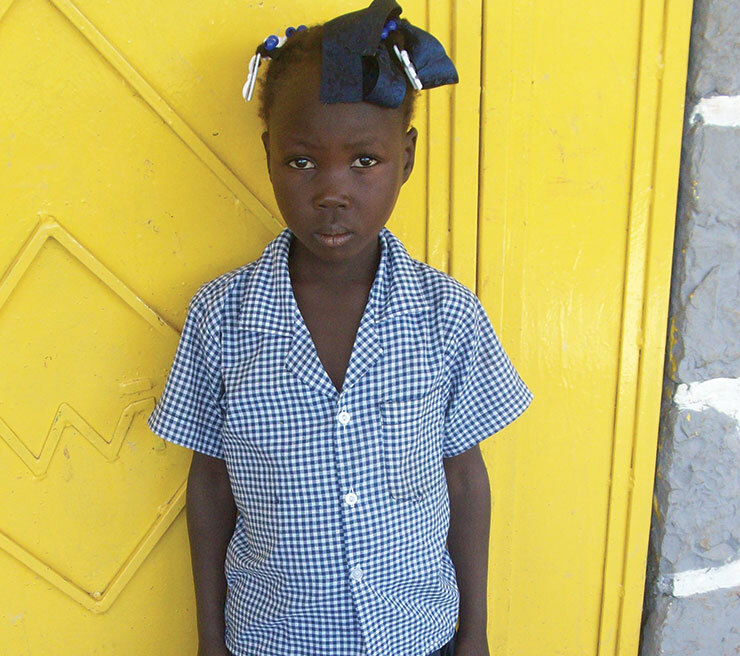 Angele is about 9 years old, but her date of birth is not certain. Like many other children of the area, she lives in a family compound with her parents, four brothers and three sisters, in a thatched roof hut with a single room; the latrine is outside. They have no electricity and take water from a well. 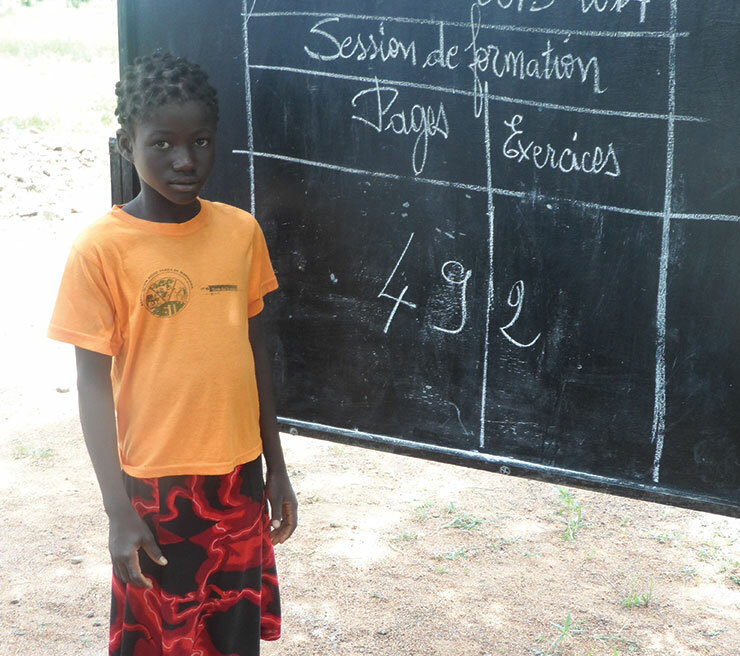 She attends primary school and is a very good pupil, quiet and studious. Her father is very industrious: he grows cereals for family consumption and for selling, makes and sells bricks and sometimes works as photographer for marriages and other celebrations. 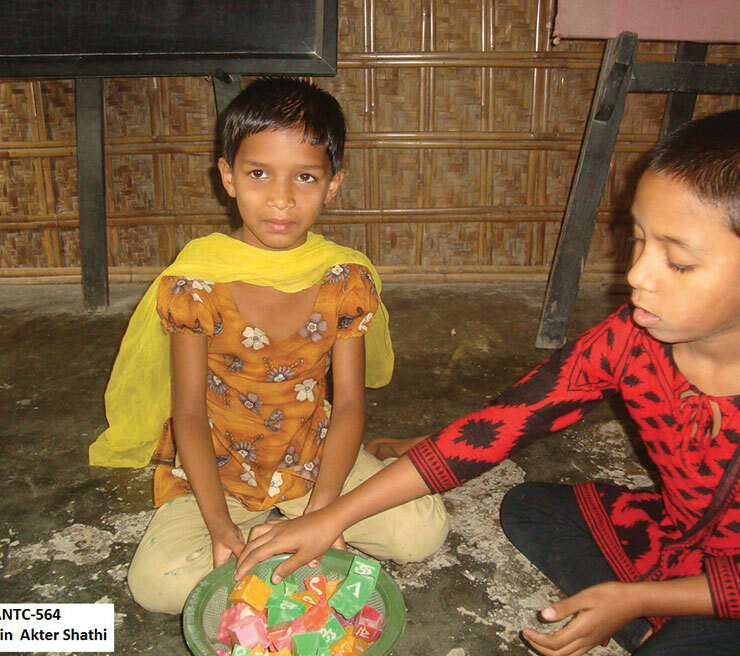 Asseta is a healthy 8 year old girl. She has a good character, calm and sweet. 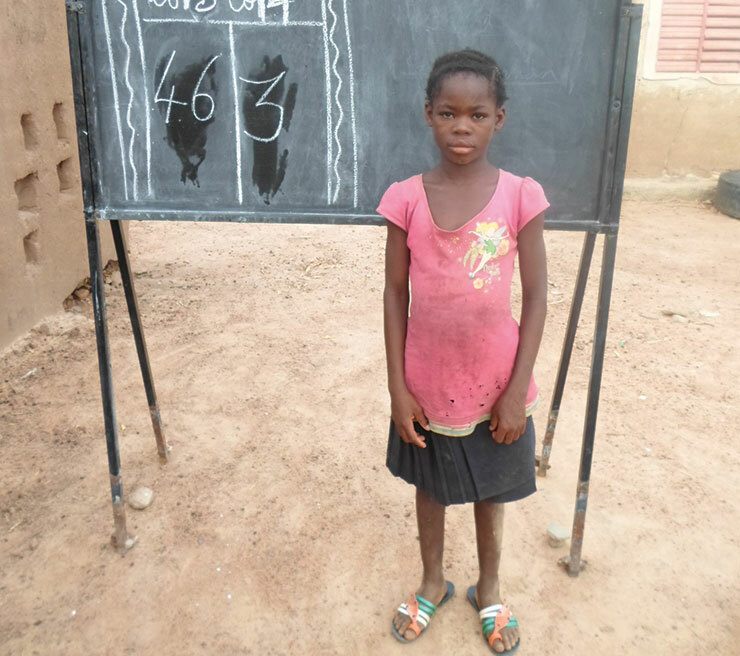 She attends primary school and is a very good pupil. She loves to play games with her friends and says she would like to become a nurse. Assèta lives with her parents, two brothers and two sisters in a family compound where they have a thatched roof hut; the latrine is outside. They have no electricity and take water from a well. Assèta’s father grows cereals and her mother helps selling dry beans and whatever is left of their crops. 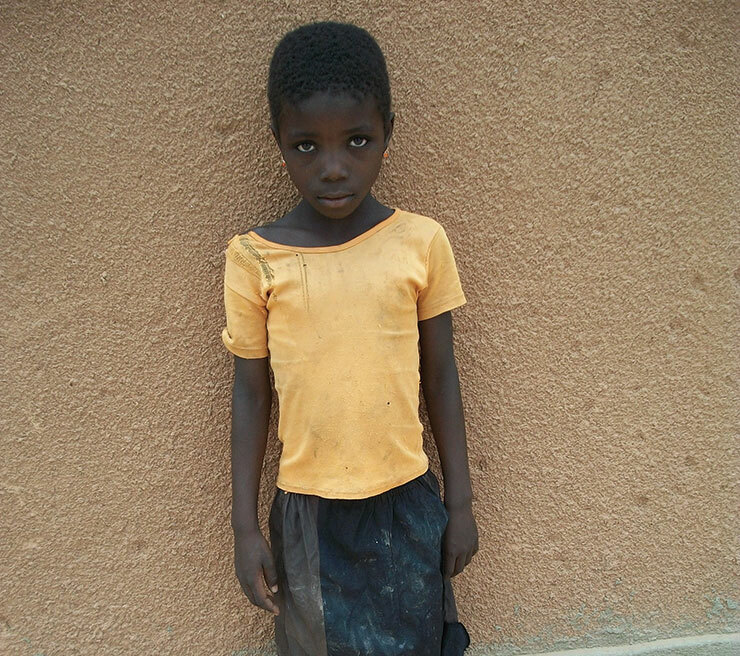 Absetou is eight years old and has no health problems. 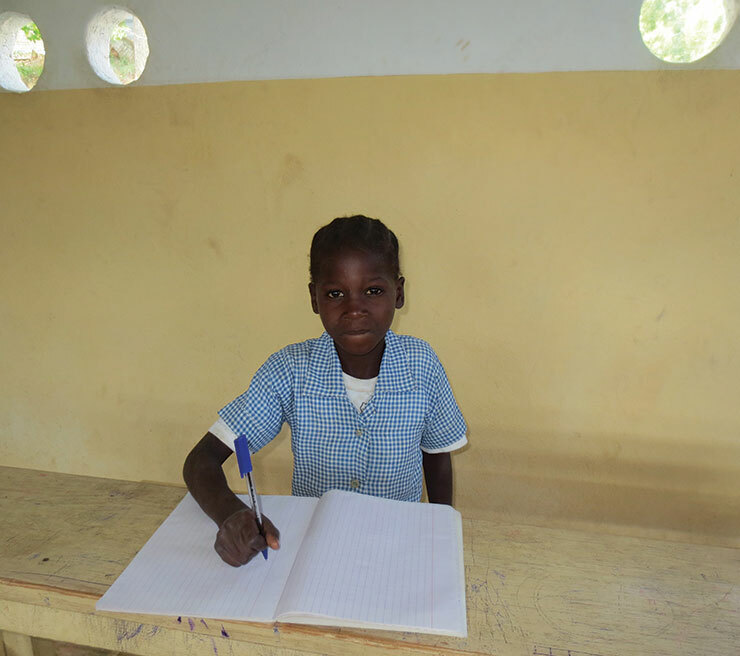 She is a quiet little girl; she attends primary school and is a very good pupil. She loves to play with her twin sister: they are always together. Absetou lives with her parents, four brothers and four sisters in a family compound in a thatched roof hut, with a single room; the latrine is outside. They have no electricity and take water from a well. The father is a poor farmer. 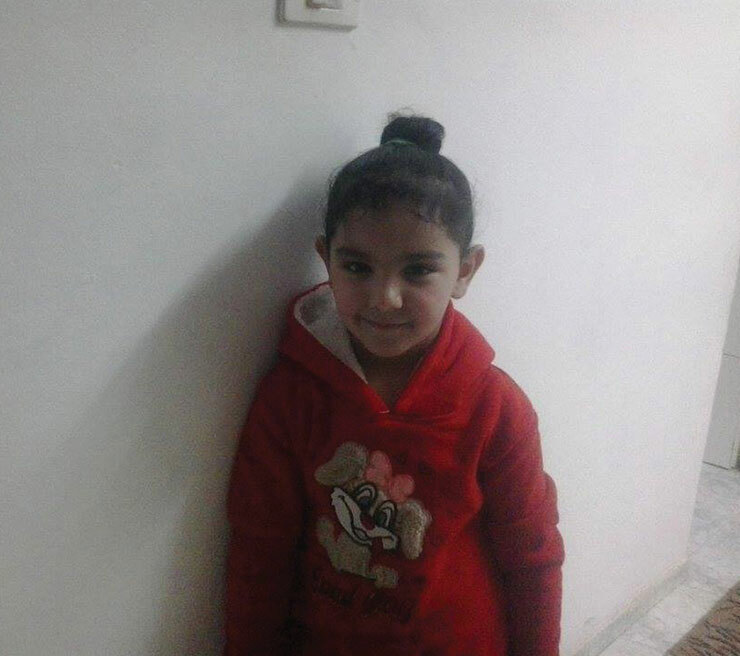 Zalissa is about 9 years old, her precise date of birth is not known. She is polite, quiet and helps a lot her mother at home. 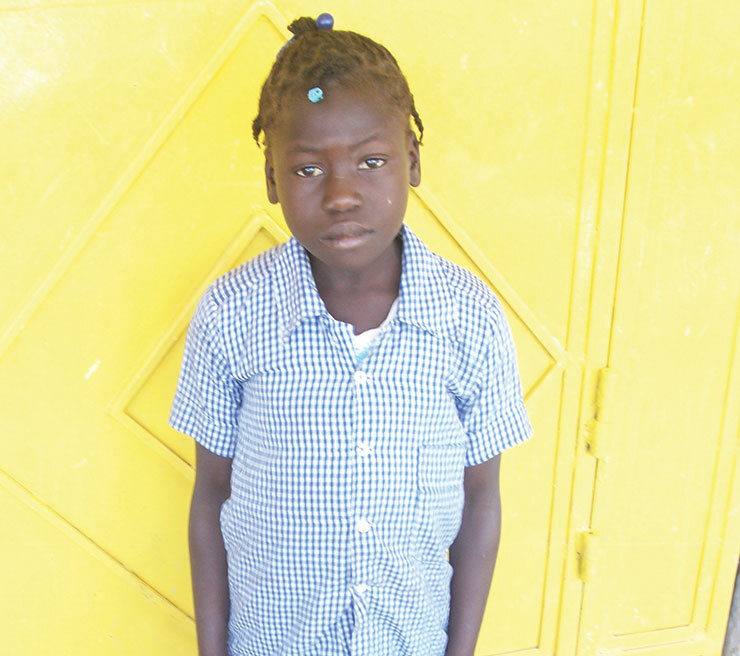 She attends primary school with good results and says she would like to be a nurse. Zalissa, her parents, her four brothers and three sisters live in a family compound in a thatched roof hut, with a single room; the latrine is outside. They have no electricity and take water from a well. Rihanata is very dynamic, courteous and alert, she gets along well with all her family members. She always makes herself available to help her mother do the dishes and other household chores. Faosiatou is polite, quiet and generous. She is always attentive and listens to her parents advice. She is extremely interested in cooking and helps her mother most evenings. She loves to dance with the group of girls in her village. 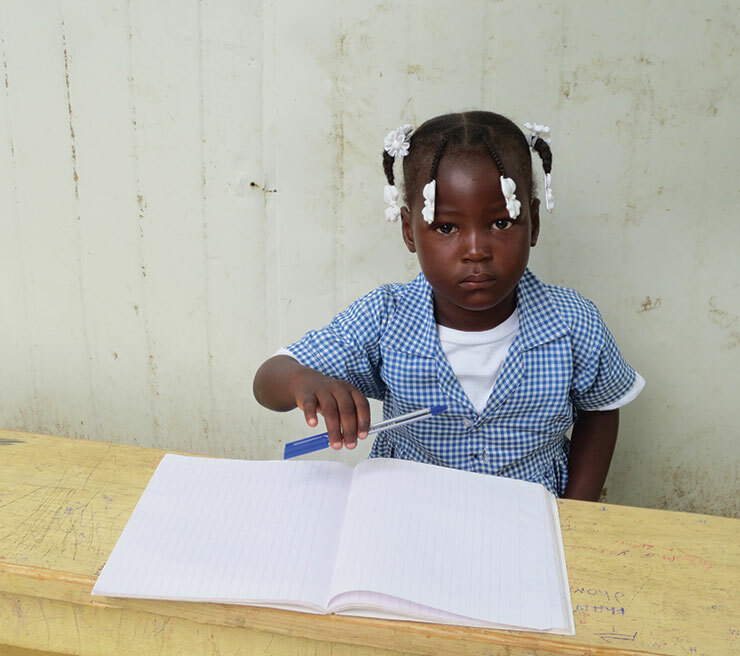 Youbenca is 6 years old (even if she writes that she is 5) and is finishing her first year of primary school at “La Providence”. She is a very clever girl and made good progress, she was even able to write the card all by herself, with only a little help from the teacher. She likes to be independent. 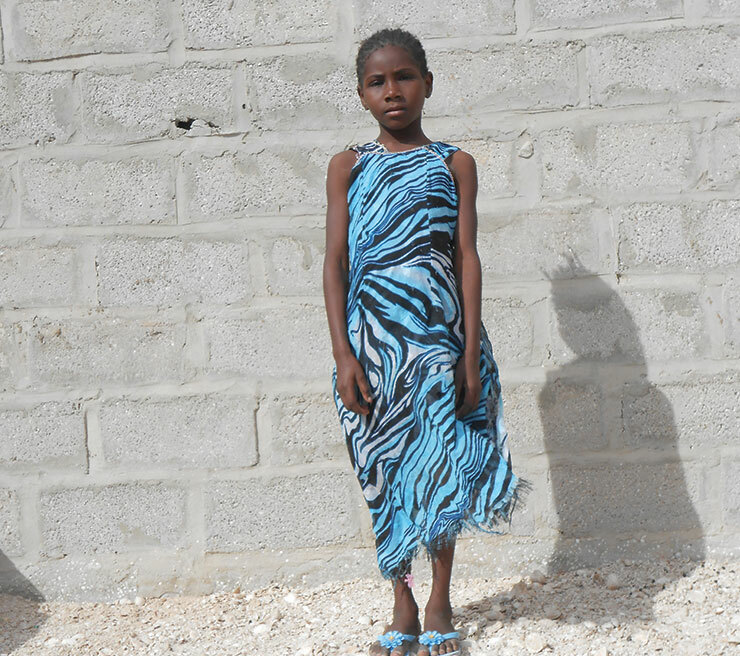 Like many other children going to La Providence, she lives with her family in the Lilavois area of Croix-des-Bouquets. Charlene has matured this year and has become a beautiful little girl, she is more peaceful, sociable and friendly. She willingly attends school, despite the discomfort of the long morning walk. She attained very good school results and participates in all the activities organised. Rosemalene is always available to help parents with the housework and working in the fields. She loves being outdoors and after the tasks arfe complete if time allows she enjoys taking long walks with her friends. chattingallegramente. 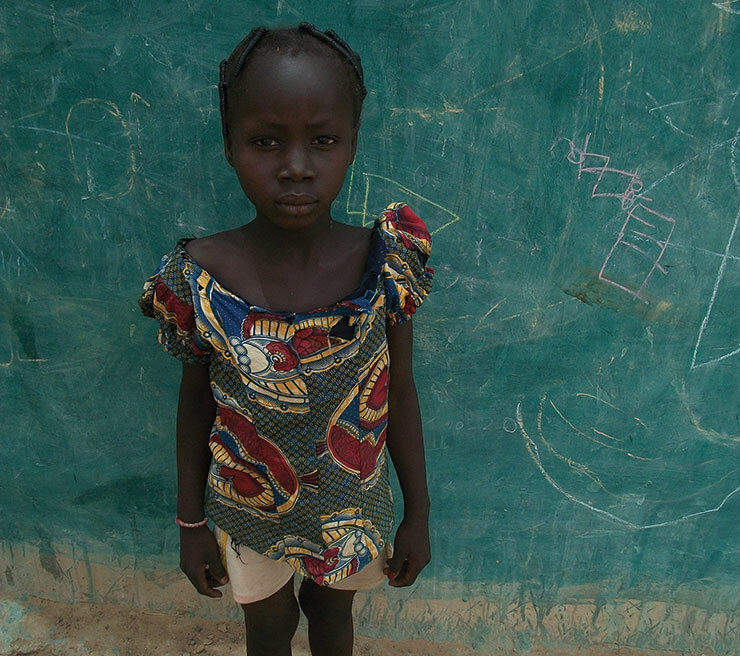 Once education has finished she wishes to become a doctor, to aid her local community. Dyna is a beautiful young girl, soft-eyed, affectionate, kind and sympathetic. She willingly attends school despite the long morning walk, she carefully follows the lessons and participates in all activities organised by the school. Dyna helps her parents in any way she can. Dyna is also a very imaginative little girl, who likes to cut and sew clothes for her dolls. In the future she would like to become a good seamstress and open her own studio. She also loves being outdoors with her friends having fun playing hide and seek. Ismène is a beautiful, nice young girl with a timid character. 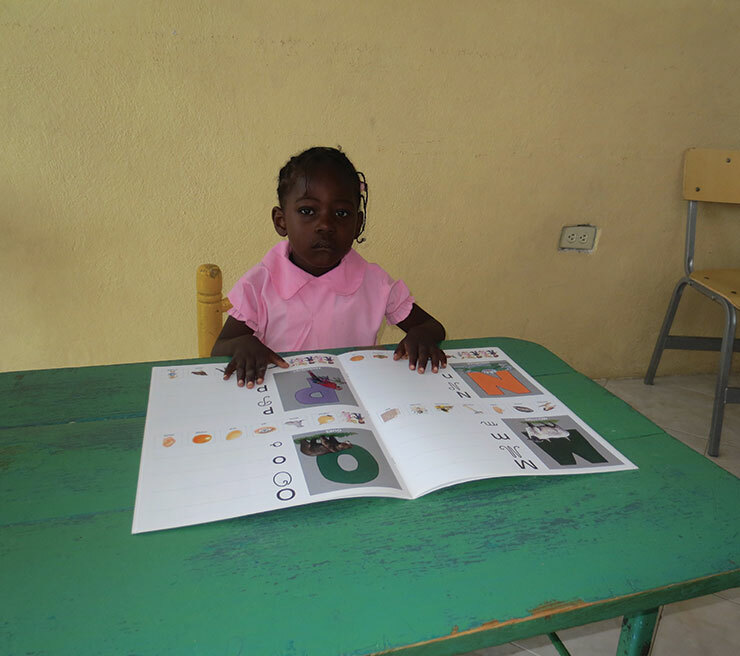 She is attending the second year of nursery, she follows the teachers lesson with great interest and loves to participate in the activities organised. She has a great love for arts and really like to draw and colour. With schoolmates and neighborhood friends, she enjoys singing and playing chase. Claudia is a lovely 5-year-old. 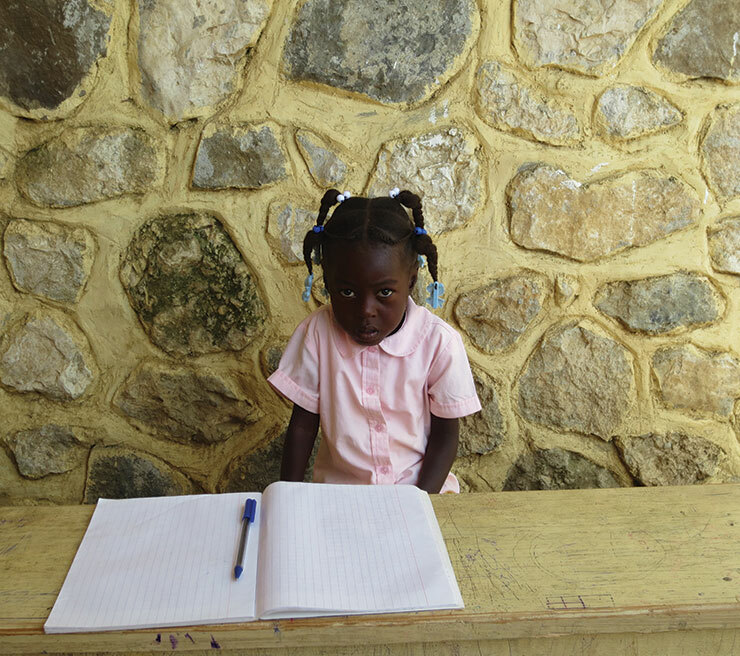 She is quiet and sometimes shy with strangers, but she likes to go to school and makes friends easily. She likes drawing and playing with dolls. She is an only child and she lives with her parents, that work in agriculture, in a poor and unhealthy hut made of straw, with two rooms. She has no major health problems. Daphka turned 10 in March 2016. She attends primary school, she is clever and hard working. She loves to spend her spare time on long walks with her friends. Daphka has three brothers and four sisters. They live with their parents in an unhealthy hut made of straw with two rooms. Like most of the people in the village, they grow corn and black beans and live of their crop, selling a part of it or working as day laborers to earn some cash. Eveline turned 9 in September 2016. 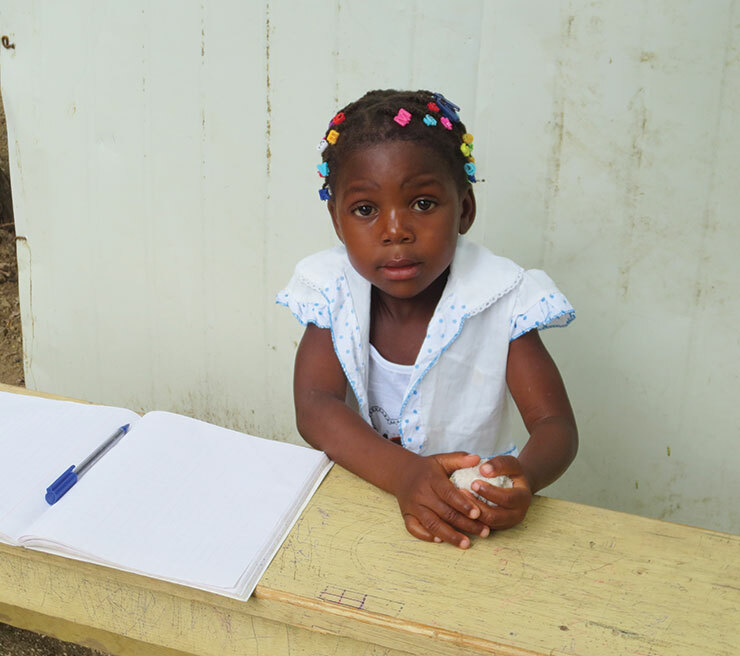 She had never been to school before the sponsorship program started, so she is still attending preschool, but she can already write. She is a good girl, very quiet and obedient. She is kind and sociable and has many friends at school. She loves drawing and singing. She has three brothers and two sisters; they live with their parents in an unhealthy hut made of straw with two rooms. Didine turned 10 in April 2016. She is a sweet, lovely child. 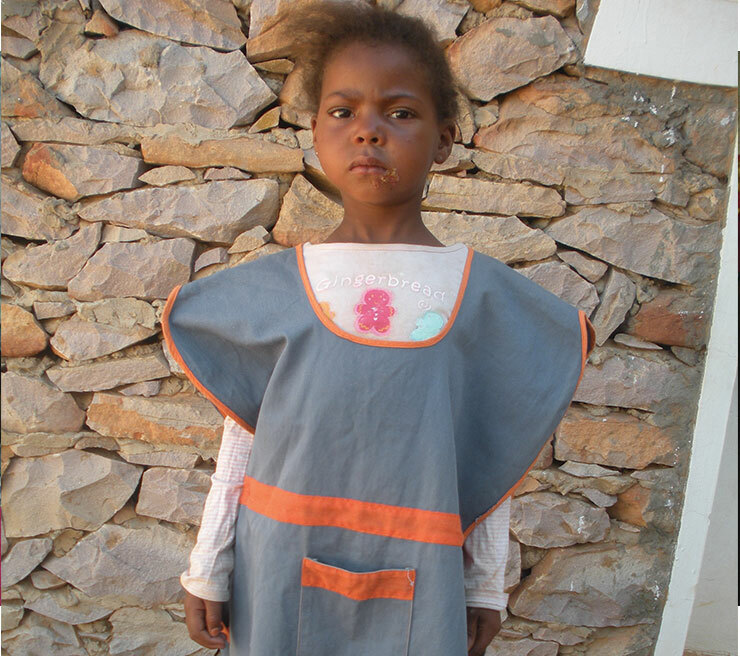 She just started primary school, because she had never gone school before the sponsorship program. She likes drawing, though she is a bit messy. In her free time she enjoys singing and playing tag with her friends. Didine has three brothers and three sisters; they live with their parents in a poor shack made of tin sheets, with two rooms. Her family lives of subsistence farming, like most of the people in the village of Guerant. Mirlene turned 11 in April 2016. She is intelligent and determined; she attends primary school with good results, particularly in drawing, her favorite subject. She started school late, but she is improving fast. In her free time, she enjoys singing and playing with her many friends. Mirlène is an only child and she lives with her parents in an unhealthy hut made of straw, with two rooms. She has no major health problems. Esther turned 11 in March 2016. 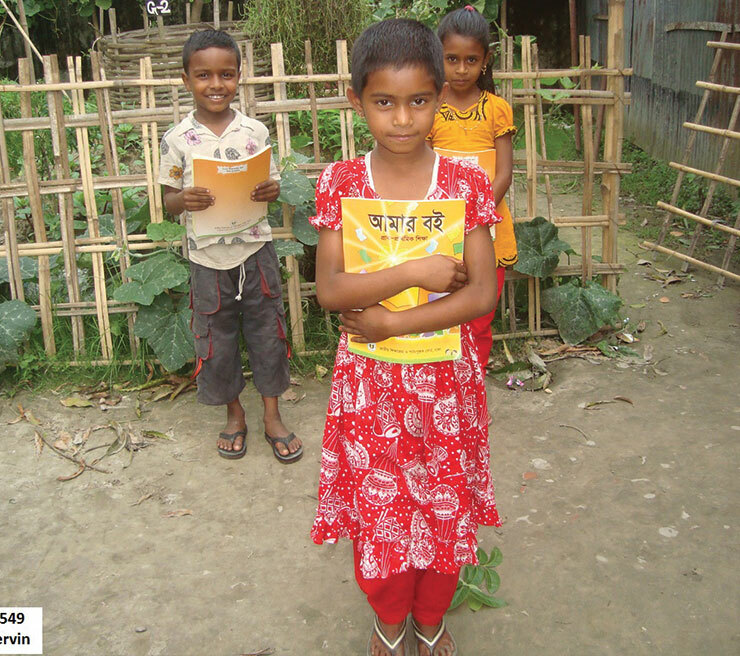 She started school only recently, thanks to the sponsorship program, but she is improving quickly. The community school in the village has few teachers and children of different levels are often all together in the same room. She is a clever girl, nice and quiet. She likes playing outside, with a ball or running with her friends. Esther lives with her family in a poor shack made of tin sheets, with four rooms. Neika turned 5 in August 2016. She is a sweet, shy child. She attends the second year of preschool and she is very active. In her free time, she enjoys singing and playing tag with her friends. Neika is an only child and she lives with her parents in an unhealthy hut made of straw, with two rooms. She has no major health problems. Michelove a has become a beautiful girl, intelligent, sociable, sympathetic and very flirtatious. She spends a great deal of care for her clothes and likes to change her hairstyles. 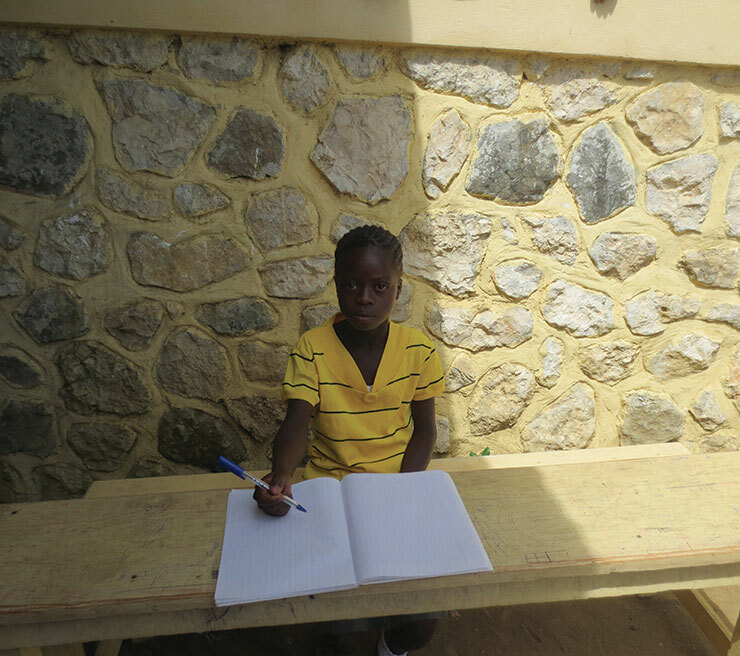 She loves to study at home aswel as attending school with much eagerness to expand her knowledge and get good results. She gladly aids her mother with the housework. In Michelove spare time she enjoys dancing with her friends and is targeting to become a dancer. 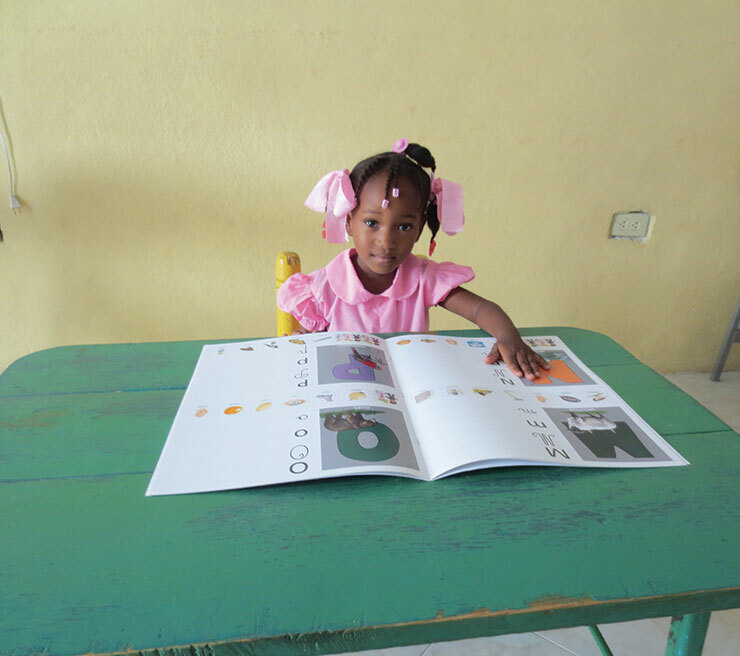 Paola is a 5-year-old lovely little girl that attends the second year of preschool at “La Providence” school. She is a bit shy and it took her sometime to adjust. She likes to sing nursery rhymes and play, but she is not too happy when it comes to holding a pencil. Her family is very poor, her parents do odd jobs to make ends meet. They live in a simple house made with concrete and tin sheet roof. Layal has lately fallen into a state of insecurity and fear, especially at night. During a meeting with his teachers and mother, Layal’s mother identified the cause of this recent malaise in her daughter due to situations of violence that reigns in the village. Even her efforts in studies have decreased slightly and academic achievement was insufficient. She takes part in the various activities organized by the center, and during Ramadan she lends a hand in the distribution of the food. 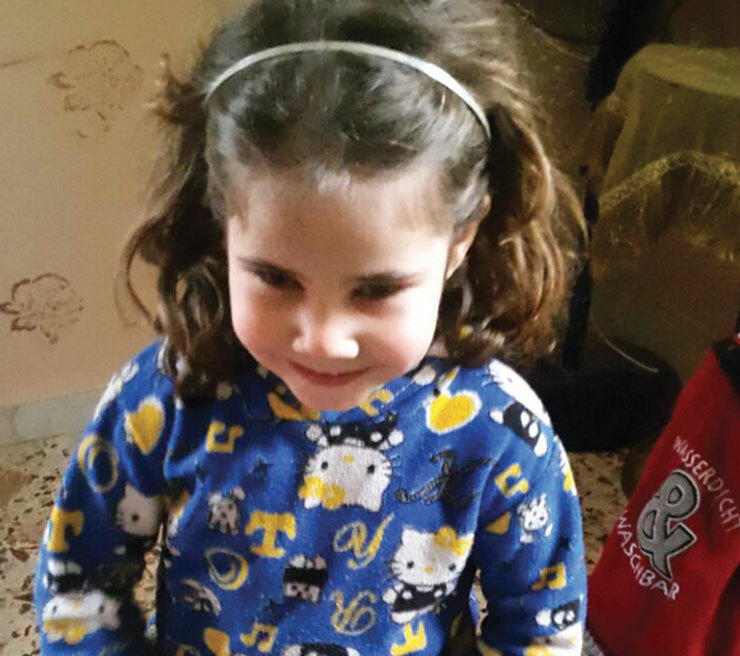 Malak is a lively little girl and a bit restless. 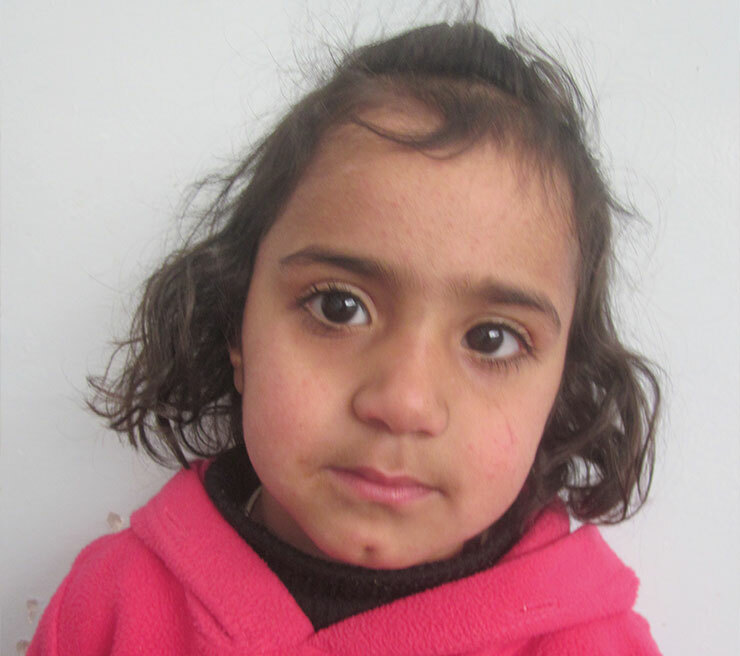 According to her mother, Malak performs little study and does not care for her personal hygiene. At school, the teacher complains that she disturbs the class. In addition she receives psychosocial support. When she returns home from school, she spends most of her time playing on the street and talking to passersby. Malak participates in the activities of the center and follows the educational support lessons. She loves to come to the center so we hope that with this support she will stay away from the road and improve her behavior. 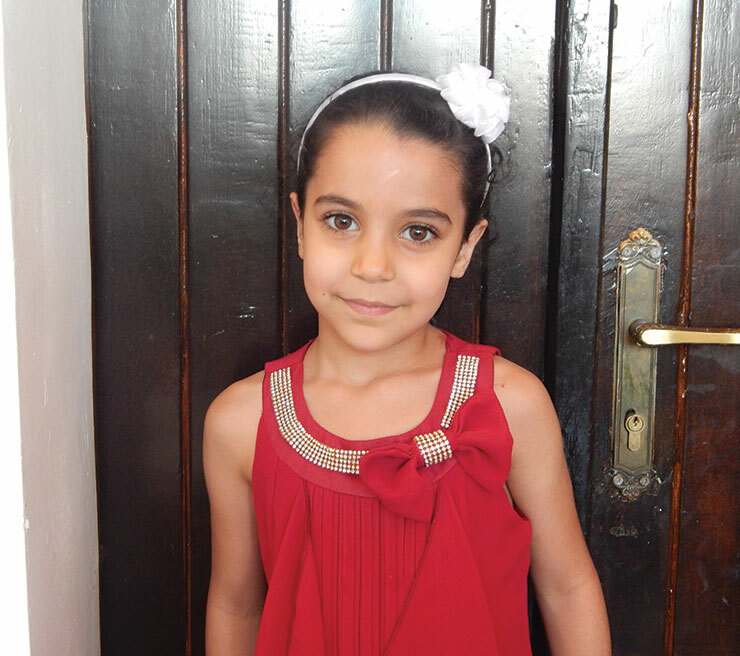 Malak’s mother was invited to participate in meetings to raise awareness on personal hygiene. 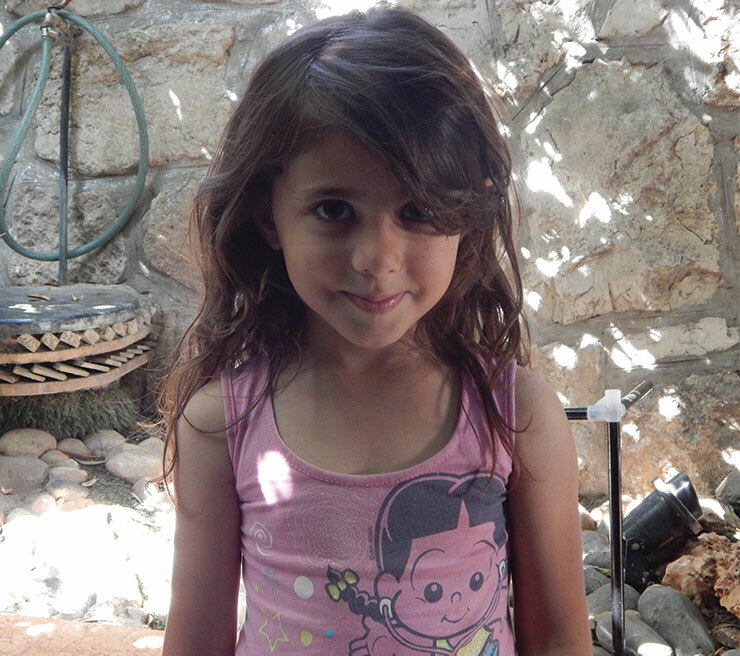 Aseel is a restless young girl with parents that allow her to do as she pleases. Aseel has a good relationship with her siblings but this often contributes to her poor behavior. 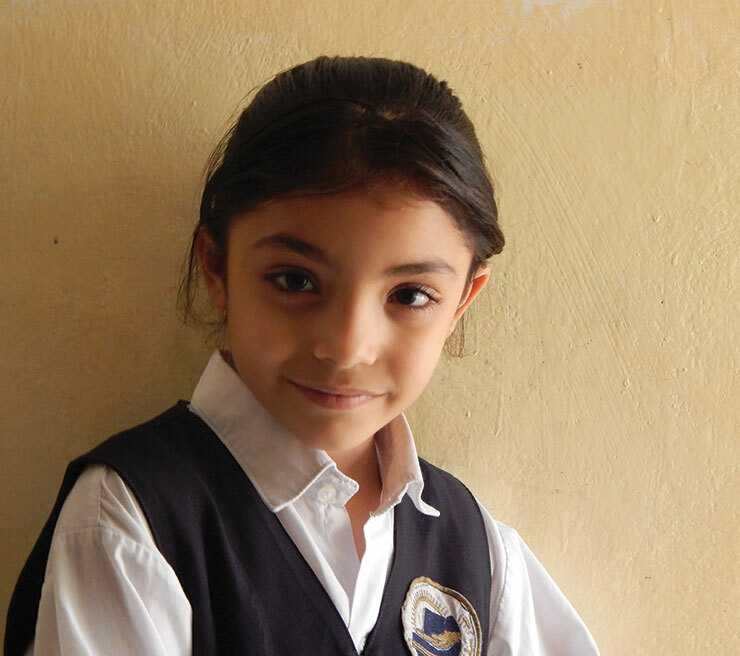 At kindergarten, Aseel is mischievous with her schoolmates and is often in trouble with her teacher. Aseel loves playing with her toy Barbie’s and her toy kitchen. Aseel participates in-group recreational activities and receives psychosocial support. 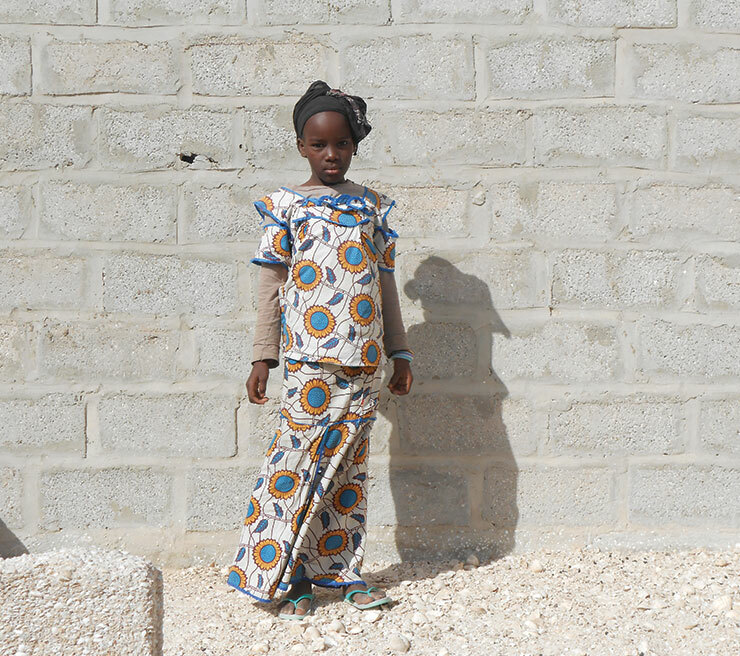 Malak is a shy, timid young girl due to the stress of living in a neighbourhood where there are armed groups. During the night, Malak hears gunshots from firearms causing her to be very scared, consequently she hides under the bed covers. This has a strong impact on her personality. 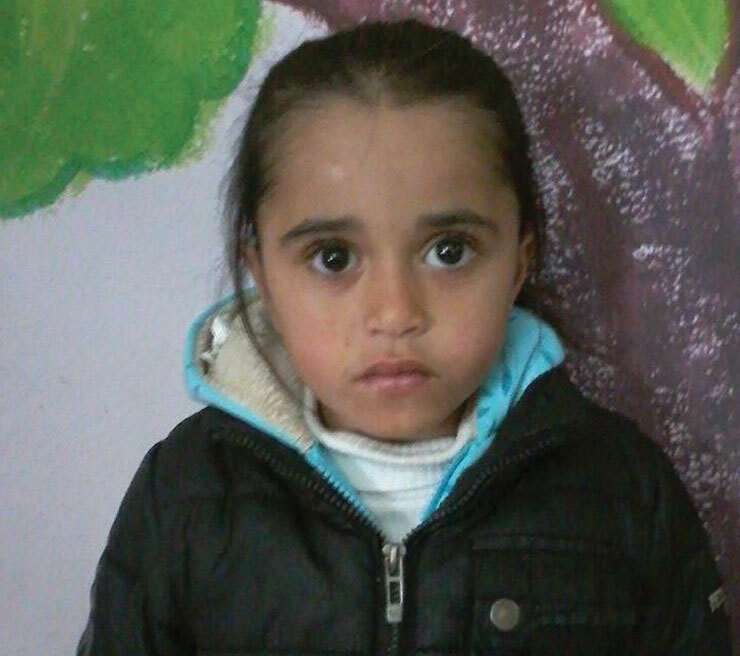 Malak is very close to her parents who give her a lot of attention due to her mother experiencing three miscarriages. 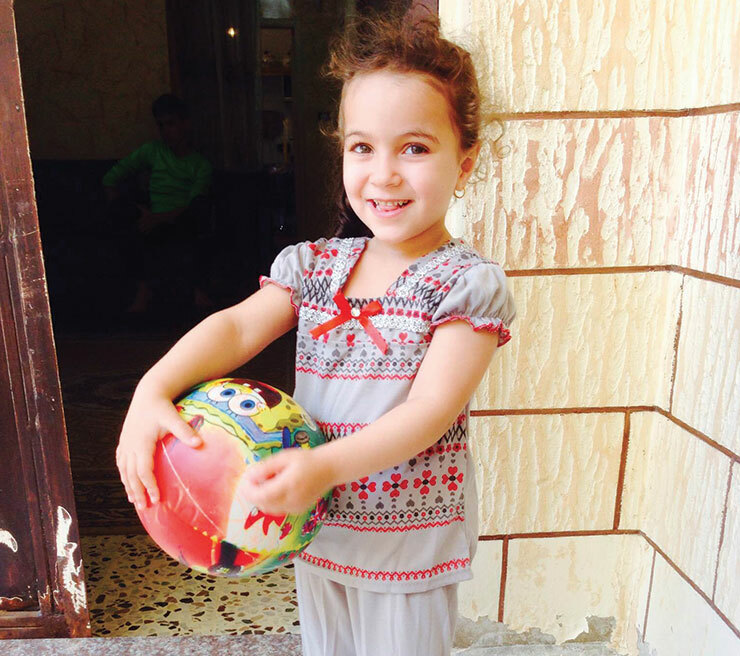 Malak loves to play with her younger sister and cares for her dearly. She also likes to play with her neighbours. Her favourite game is puzzle making. Malak is involved in-group recreational activities monitored by the psychologist, her mother participates also to help her daughter deal with her problems. Asthma is a restless young girl with a strong character. She occasionally behaves inappropriately with her schoolmates. She has a good relationship with her father, but he is a bit too permissive with her while her mother is more severe causing her parents to argue. Asmaa imitates elder women around her because she would like to be an adult. She spends most of her time with her mother and occasionally visits the neighbors. Asmaa loves to write, draw and colour. 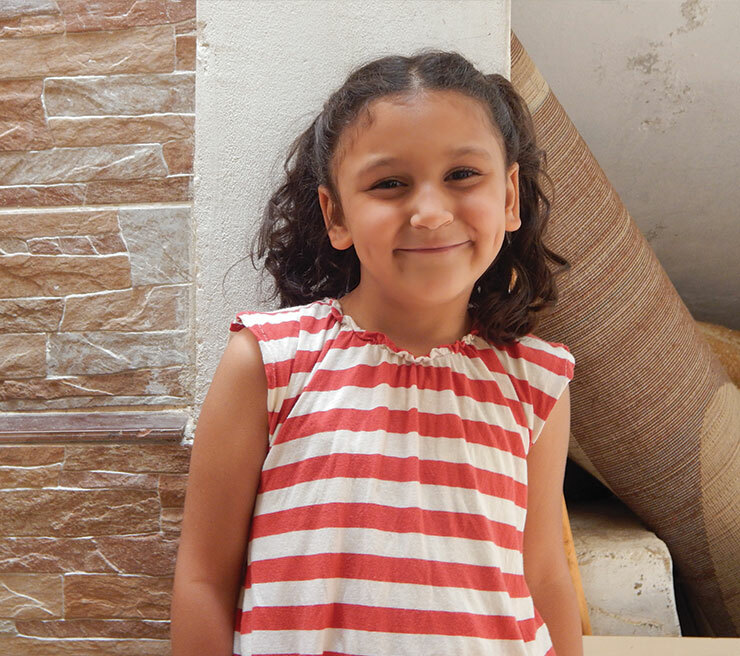 Asmaa will participate in-group recreational activities at the center and invite her mother to participate in campaigns to help address the challenges of her daughter. Dima is a shy, timid girl. She likes playing with her siblings and friends from the neighborhood. She particularly enjoys playing the mother role with the younger children from her village. In addition to her friends and siblings, she has a very close relationship with her cousin who visits often. Dima has a blind sister of whom she is very affectionate and becomes very sad when she is sick. Dima has a good relationship with her parents, although sometimes becomes crazy and does not listen to them. 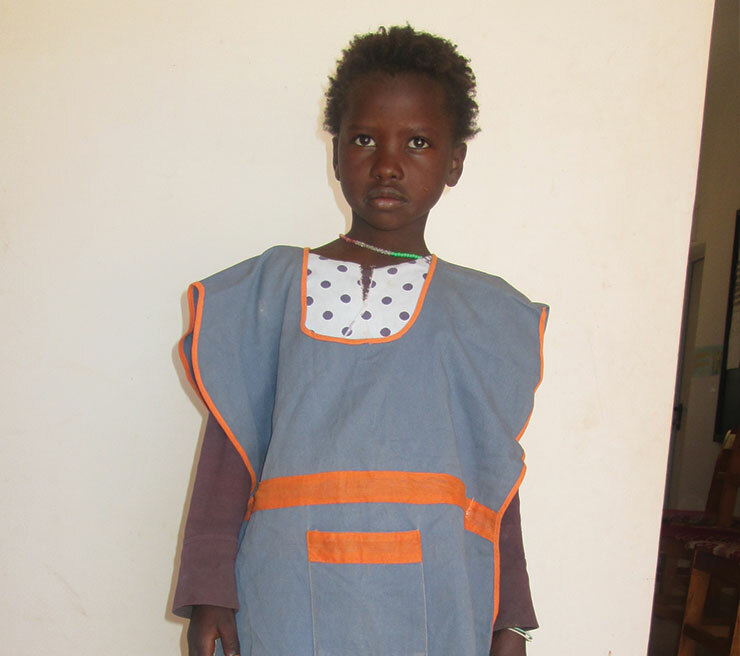 Aya is a quiet, shy child who comes from a very poor family, consequently she never receives adequate nutrition causing Aya to be very thin and fragile. She loves music and enjoys singing. She has a good relationship with her father. She and her siblings often fight for the Television, she and her sister’s fight for the cartoons and her brothers for the football. Community operators of the center through home visits follow Aya closely. She will also participate in recreational activities, while her mother will be included in awareness raising campaigns to support the growth of the children. Valeria is an extroverted and sociable girl. She gets along with all her friends, she loves dancing, singing and drawing. At home she an obedient child and never denies helping her mum with household chores. She has just started attending the first grade at the school district and she is particularly happy about the new adventure. Daniela was born due to a sexual assault suffered by her mum at just seventeen. The father figure is covered by the mother’s boyfriend, who lives with them for several years and does his best to take care of them. 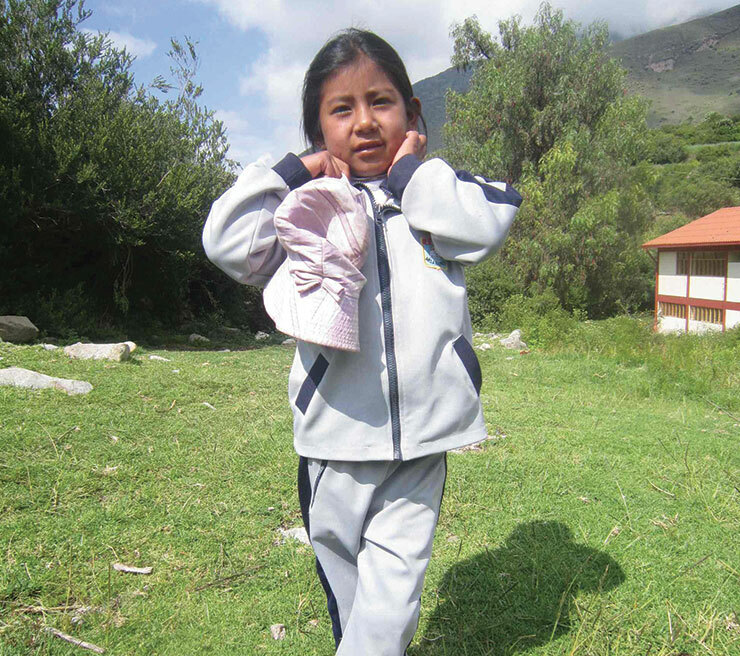 The child exhibits a rather reserved character, she attended the first grade and has had some problems of school integration because of her shyness and with that she speaks only Quechua with her mother, while the lessons in primary school are also in Spanish . Jade is a shy, gentle young girl. She lives with her parents, of Quechua ethnicity, the original people of the ancient Incas and her brothers who a a part of the farming community Oscollopata which is located in the Cordillera of the Peruvian Andes, at over 4,000 meters high and about four hours from the city of Cusco. She is very attached to her mother and helps making food, she also helps hanging the laundry outside. 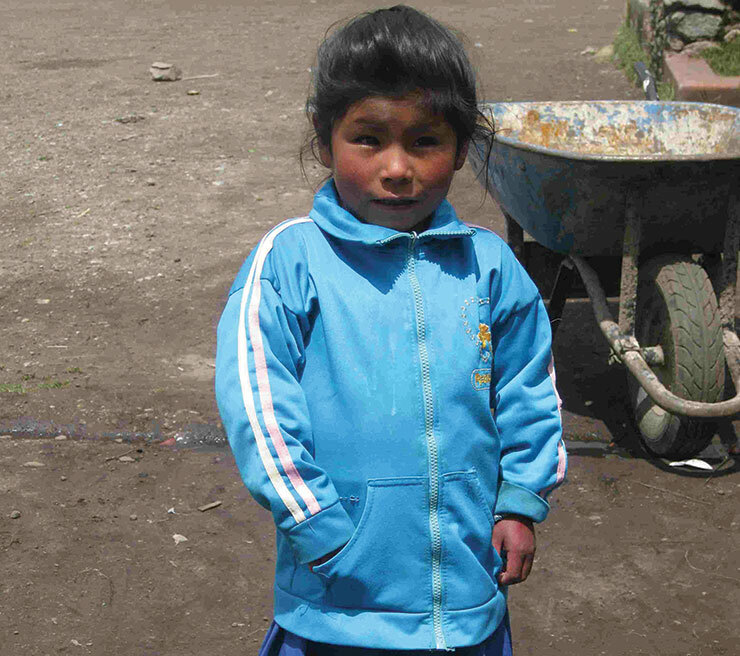 Yajaira is a rather timid child of Quechua ethnicity, living with Dad, Mum and her little brother in the farming community of “Misanapata” located in the Cordillera of the Peruvian Andes, at over 4,000 meters above sea level and about four hours from the city of Cusco. 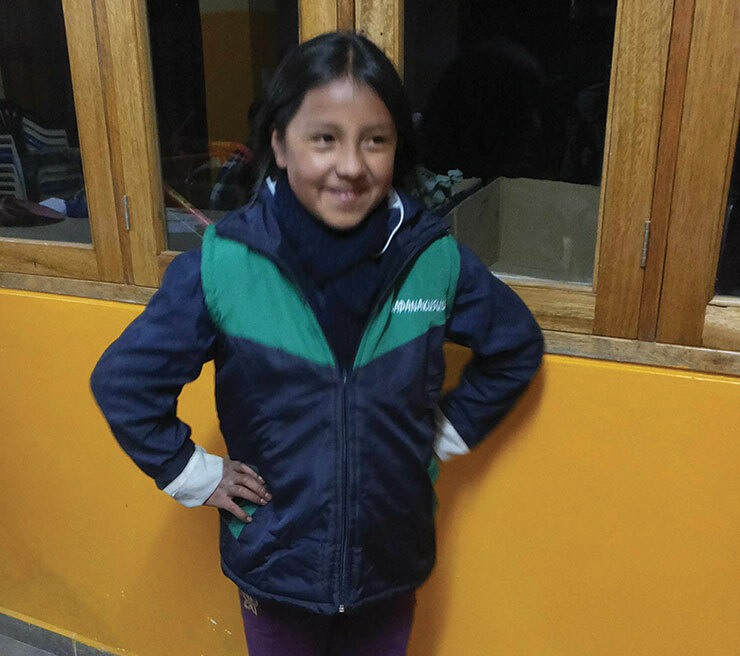 She regularly attends classes, but has some problems of progress, especially in the Spanish course because the family speaks almost entirely Quechua. Maria Elena is a girl that is quite shy. 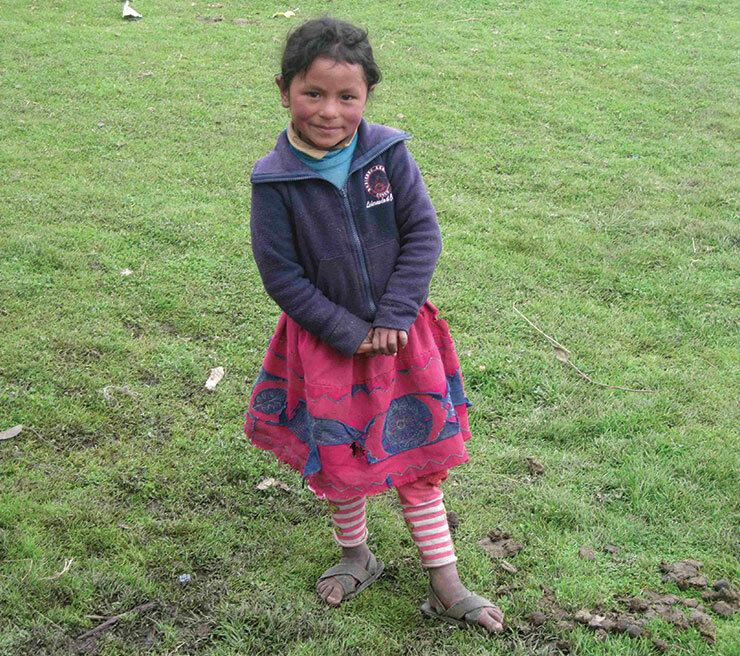 She lives with her parents and a brother in the community of “Misanapata” cordillera of the Andes, 4,000 meters above sea level and about four hours from the city of Cusco, the capital l`antica dell`impero Inca. As the entire population of the area, also Maria Elena and her family are ethnic and Quechua language. 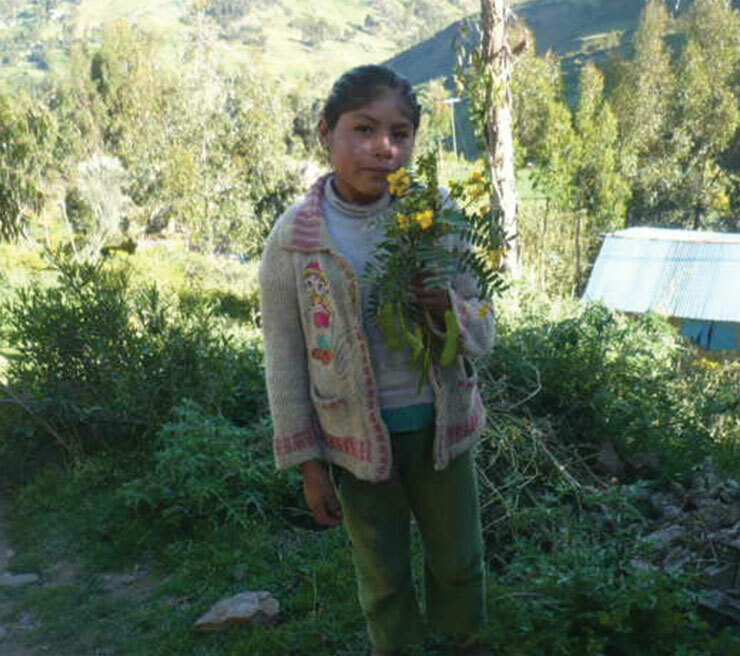 Parents keep children with many difficulties, thanks to the agricultural derive from the asset, because due to the altitude soils produce very little and living conditions are harsh. He regularly attends l’asilo, but suffered some problems of integration because of his shyness. Adriana is a shy girl. 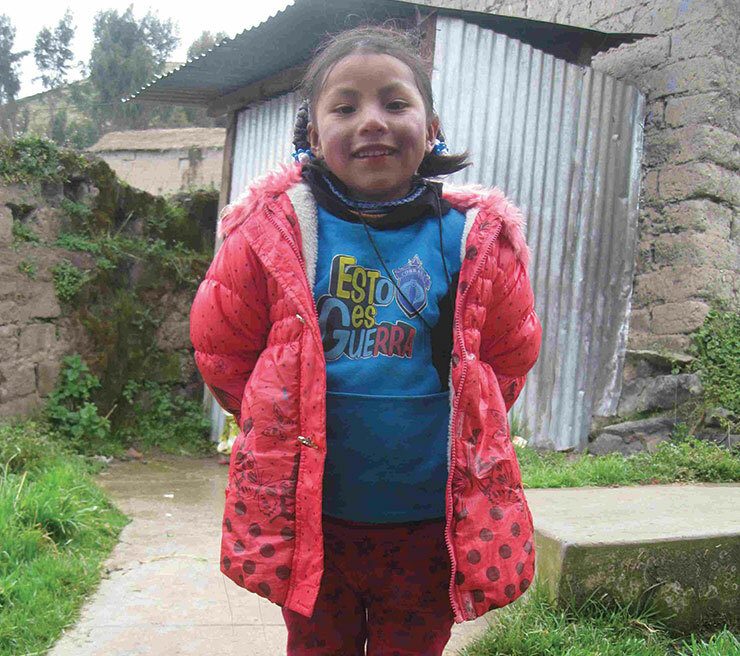 She lives with her parents, brother and sister in the peasant community of “Misanapata” in the cordillera of the Andes, at more than 4,000 meters above sea level and about four hours from the city of Cusco, the capital l`antica dell`impero Inca. 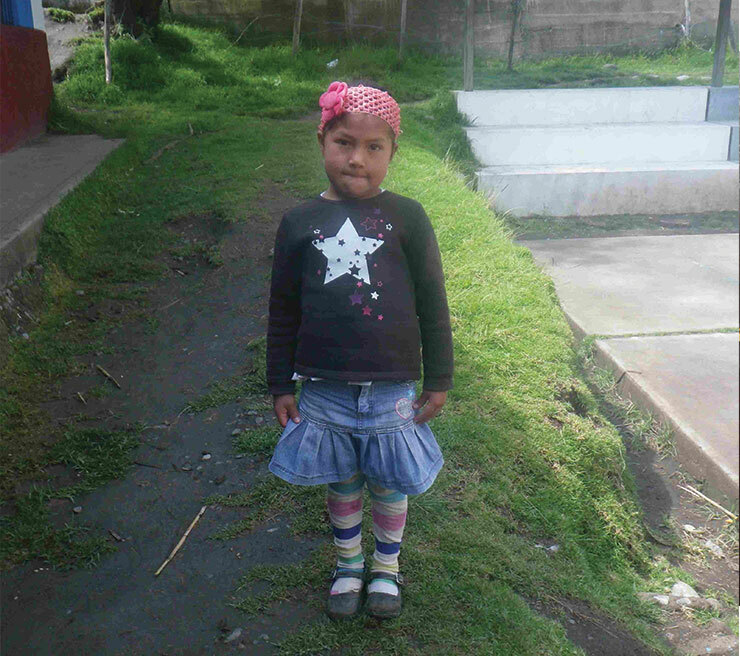 As the entire population of the area, also Adriana and her family are ethnic and Quechua language. Parents keep children with many difficulties, with the little that produce agricultural big enterprise in very difficult areas, because, due to the altitude, the soil produce very little and living conditions are harsh. 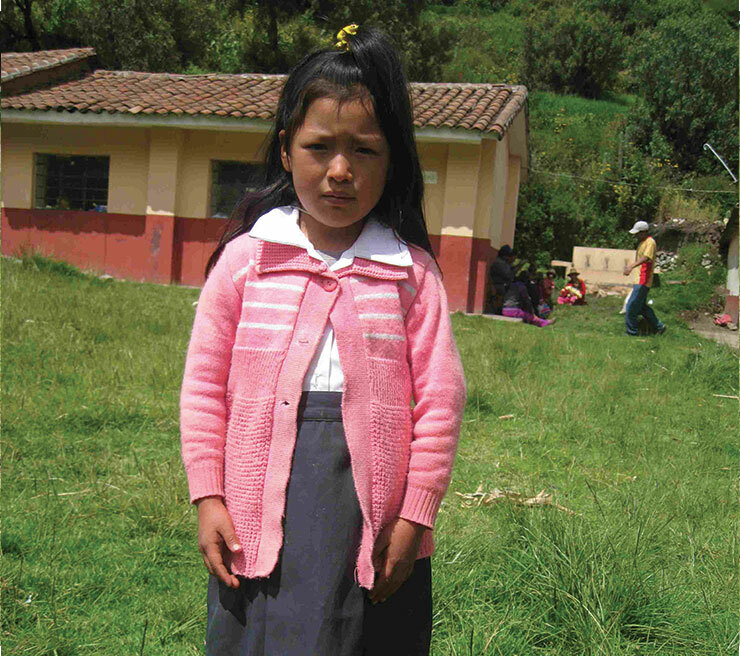 Since the beginning of first grade, it highlighted some school integration problems because the majority of the classes are in Spanish and the child is accustomed to speak only Quechua family. The personal situation of Nayeli has not been easy. The biological father abandoned her from birth. 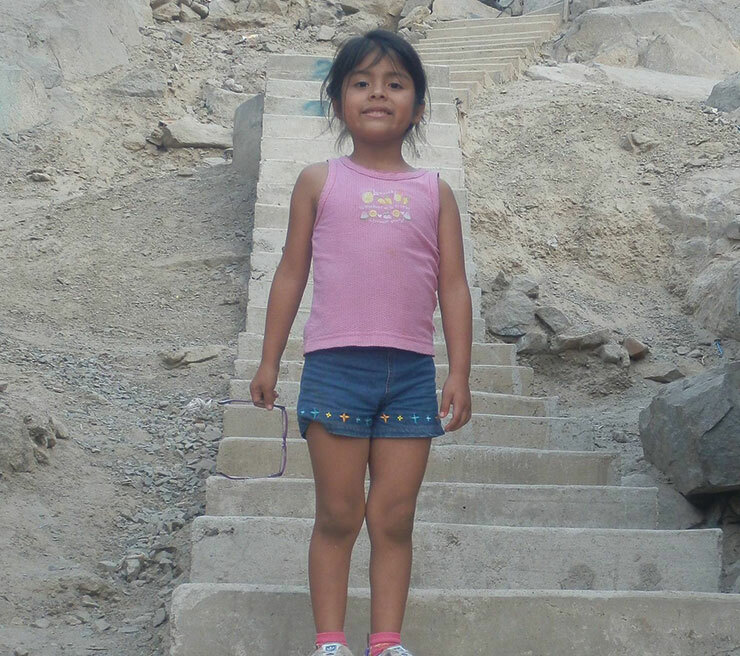 When Nayeli was two, her mother decided to emigrate to Cusco, where she worked for nearly three years as a kitchen helper in a popular restaurant, leaving her daughter in the care of her maternal grandmother. For about a year the mother has returned to live in the village, in the grandmother’s house, with a new companion, with whom she recently had another child. Despite the return of the mother, Nayeli has remained more tied to the grandmother who takes care of her with love. She started this year l’asilo. She attended with continuity, growth is in line with the parameters of his age. Mary Cielo lives with her parents and her brother in the smallest farming community of “Misanapata”, the Cordillera of the Andes, which is more than 4,000 meters above sea level and about four hours from the city of Cusco, the capital l`antica dell`impero Inca. Mary and her family communicate using the Quechua language, descendants of the ancient Incas. Mary Cielo is a little girl, quite shy, but introverted and, after an initial reserve, unable to socialize with peers of the village. She is very attached to her mother and often helps with the housework and feeding the animals that the family breeds in the yard. She recently began attending first grade at the school community, with some initial difficulties insertion due to shyness and a slight stutter which is evident when she is frightened or anxious, but it seems that she is gradually settling. Gladys is a girl with a rather shy character. She lives with his parents and brothers in the farming community of “Antayaje” that is located in the Cordillera of the Andes to over 4,000 meters high and about four hours from the city of Cusco, the capital l`antica dell`impero Inca. 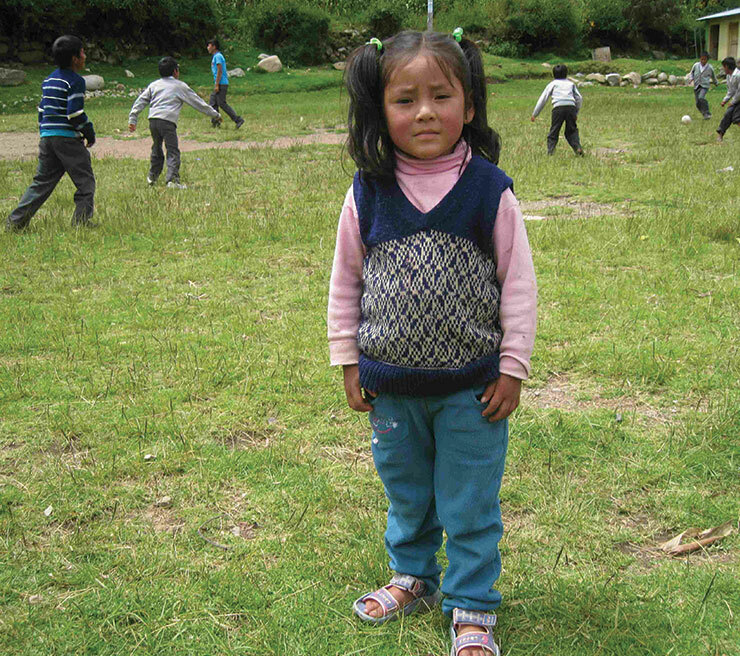 Like the rest of the village population, Gladis and her family use the Quechua language to communicate. For some months now the father has emigrated to work as a laborer in a mine far away from the village and Gladis, she consequently suffers from the distance, she is now even more attached to her mother. Despite the apparent reluctance, due to shyness, the girl quite actively participates in class and seem to be able to integrate into the peer group. 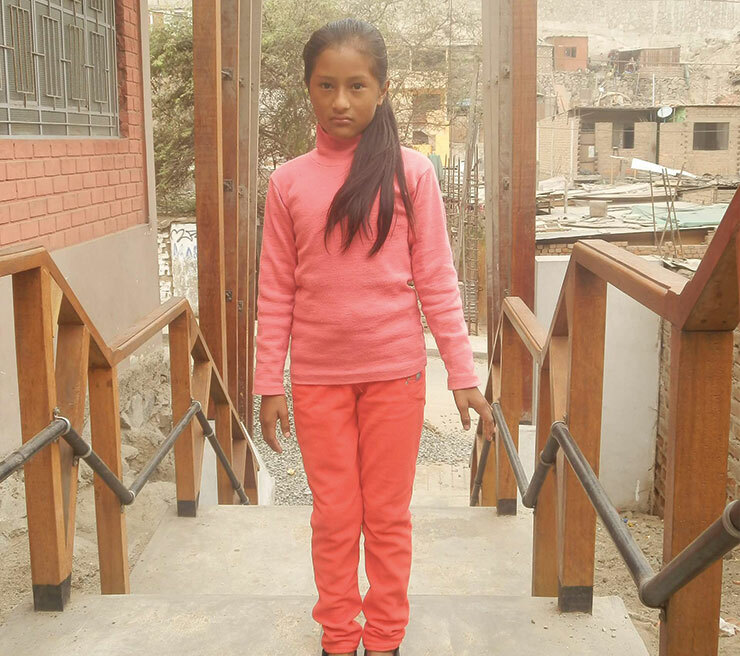 Yusely lives with her parents and brother in the region of Antayaje that is located in the Cordillera area of the Andes which is over 4,000 meters high and about four hours from the city of Cusco, the capital l`antica dell`impero Inca. She has a rather shy character and is very attached to her mother. 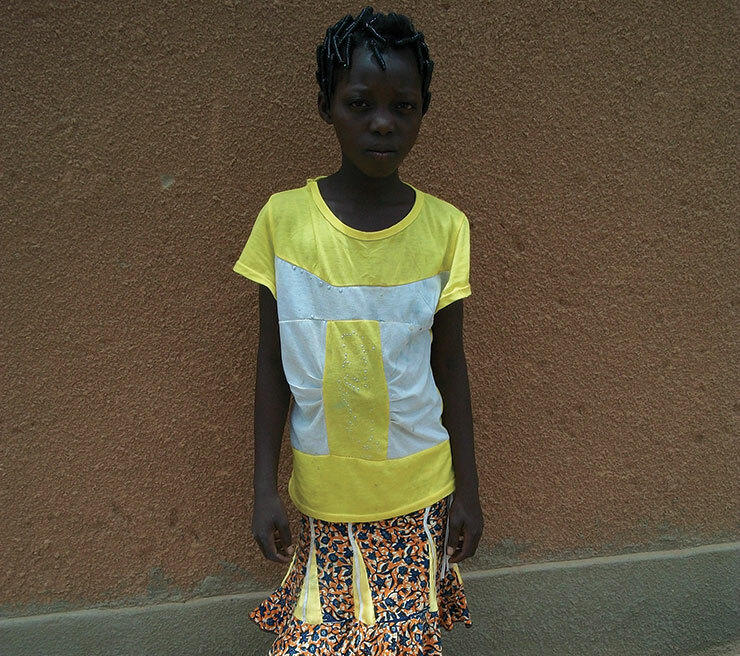 She thoroughly enjoys to dance, draw and play hide and seek with some friends from the village. Because of her shyness she has highlighted some problems in integrating asylum, largely resolved over the past months. Maritza is a fun and outgoing girl who, despite the difficult situation in which she lives due to the poverty of her family, is always cheerful and jovial. 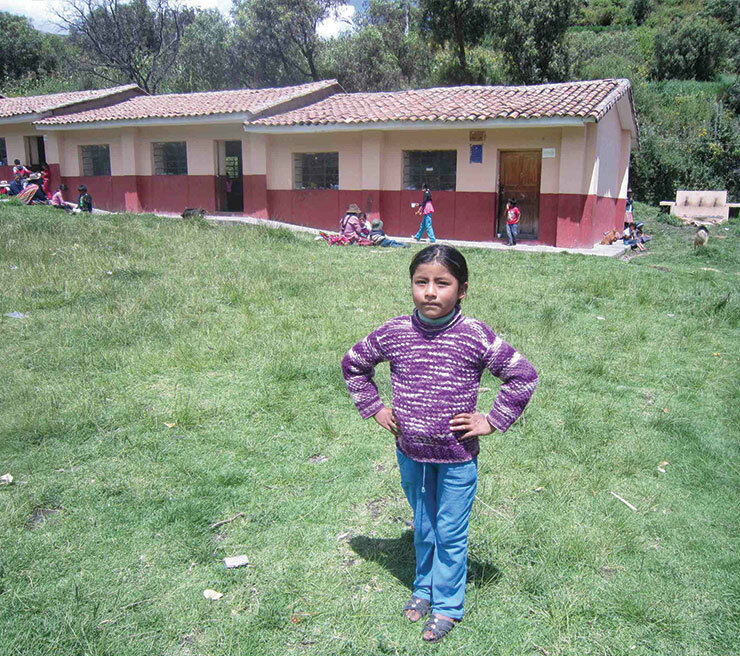 She lives with her parents and three brothers, in the farming community “Ccoyani” on the Cordillera of the Andes, about four hours from the city of Cusco. 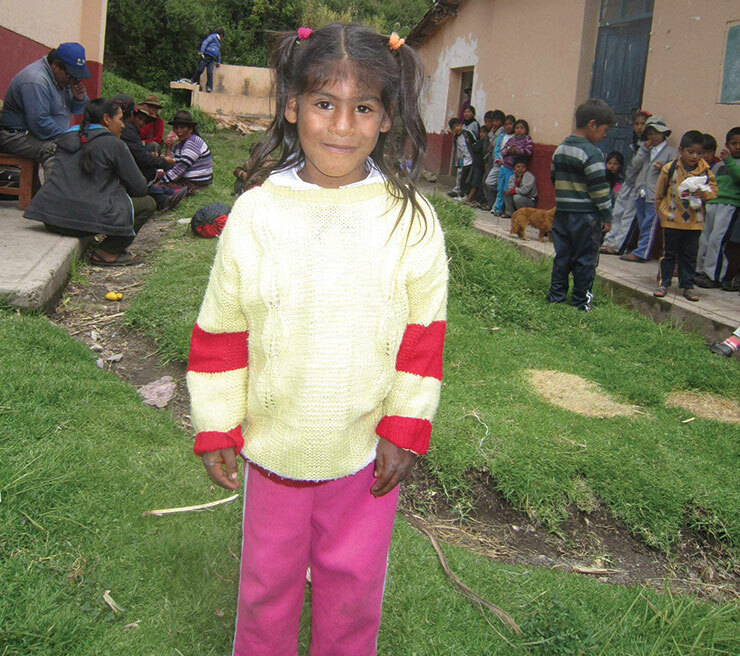 Miluska is a girl of Quechua ethnicity; has a jovial and sociable character and loves to run through the meadows and play hide and seek with her village friends. She lives with her parents and her slightly older brother in the peasant community of “Ccoyani” of the Andean Cordillera, at over 4,000 meters high and about four hours from the city of Cusco, the capital l`antica dell`impero Inca. The parents are very young and they worry that their children will not better opportunities for their future. Anais has changed so much in the last year, thanks to the support given to her from the project and its commitment.Her academic performance has dramatically improved. She participated enthusiastically in remedial courses promoted by the House of Culture, and has applied dedication in school activities, resulting with good results. She has also become more collaborative and sociable with her fellow schoolmates and teachers. Virginia quest’anno è migliorata non solo nel comportamento ma anche nei risultati scolastici. Le piace partecipare ai corsi di danza della sua scuola, fruisce di interventi di sostegno da parte del progetto e partecipa ai corsi di rinforzo scolastico. Ha amiche con cui gioca a scuola. Nel tempo libero, aiuta la madre nella preparazione dei pasti e nella cura degli animali e porta da mangiare ai porcellini d’india. 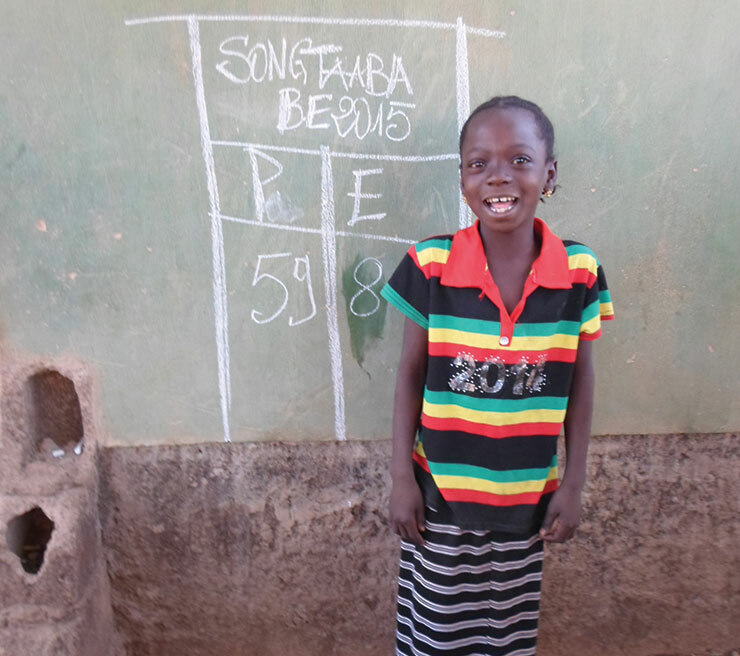 Sandy is a brilliant and communicative child, she has perfect attendance at school where she achieves excellent results. She loves her mother very much and her mother will shortly give birth to a little sister. Sandy has actively followed the workshops organised by the team support, in particular the design and sport group where she plays volleyball with the other girls of the project. 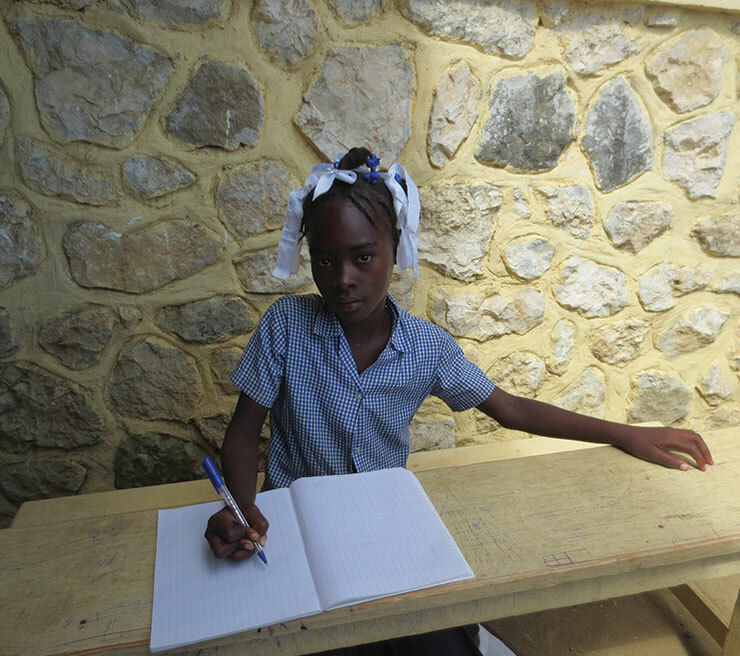 Aisse is a good student who likes to go to school, her performance is more than adequate but could improve. Due to her warm nature, she has good relations with both comrades and teachers. In her spare time she likes to play traditional games such as rope jump. She is a dynamic and sociable girl that likes to play with friends either in kindergarten or on the street. Her teachers are aware that she is not progressing as she should be, however they are monitoring her closely. In the classroom, she is disciplined and attentive to explanations. Her favorite game is skipping. Emekelthoum is a calm young girl who is always neat and tidy. 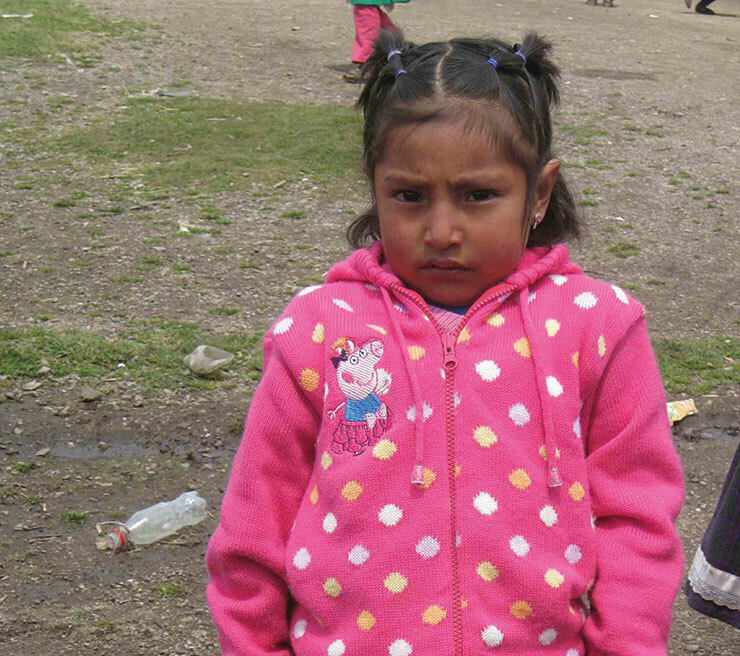 She unwillingly attends kindergarten due to wanting to play instead of learning. 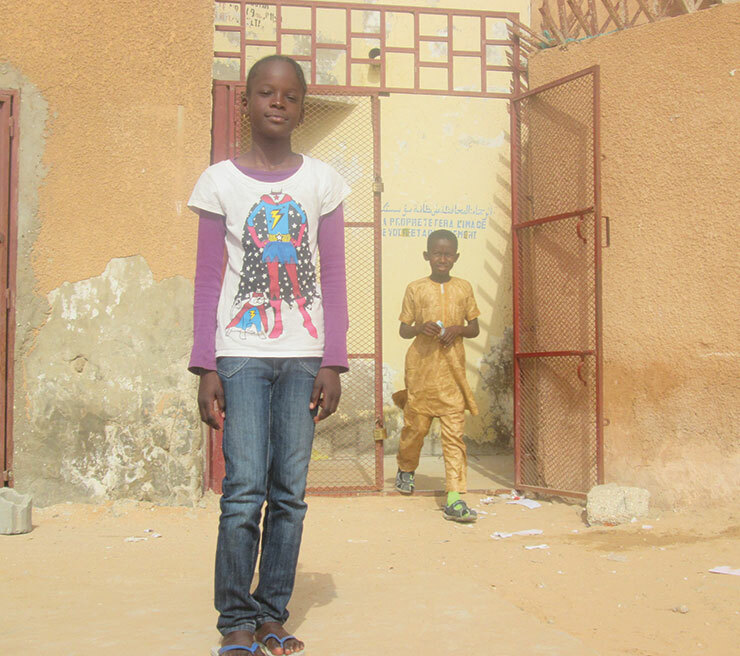 Fatma is a young girl who likes to talk with her schoolmates. Her favourite activities include singing and dancing. 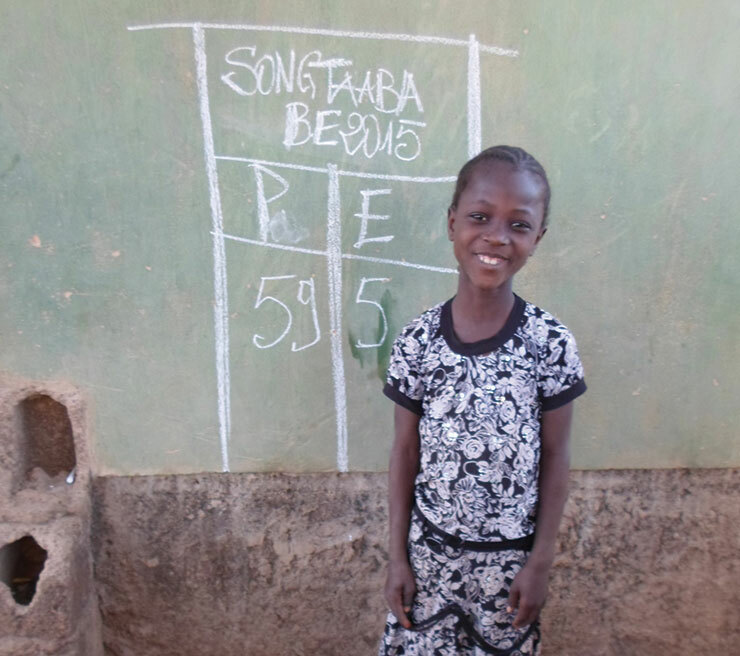 She does not participate in activities at school but the teachers are trying to interest her through games. 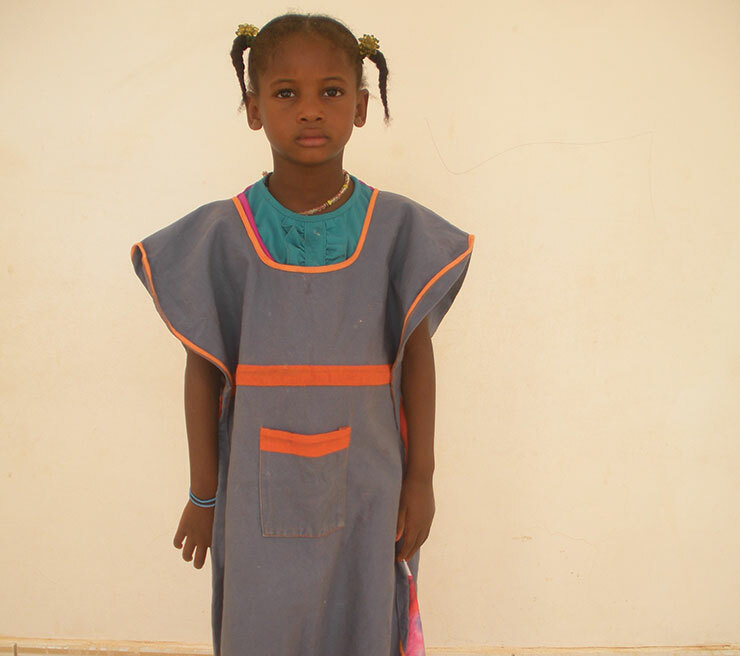 Khadijetou does not willingly attend kindergarten because she misses her mum. The teacher comforts Khadijetou and tries to involve her with other classmates. 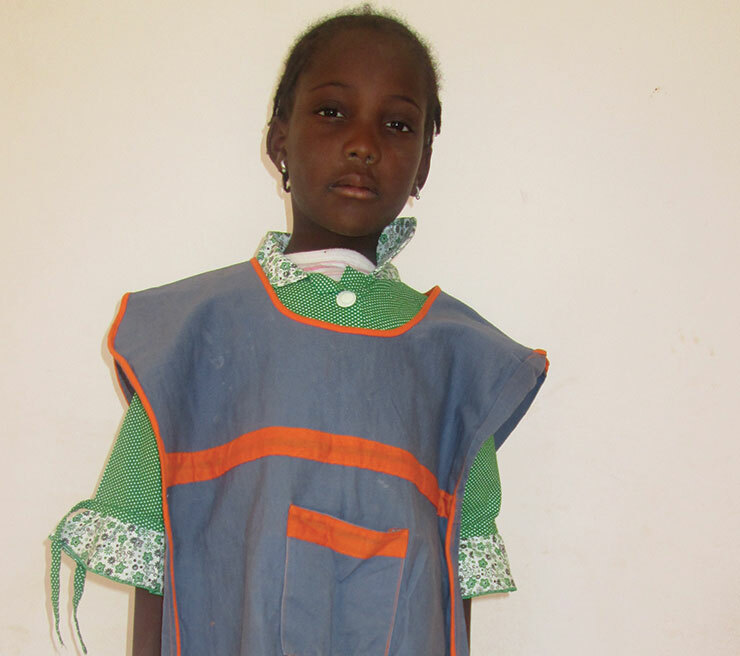 Haweiya is a restless child who occasional argues with her classmates. She loves to play with water in the street. The teachers follow her progress and try to make her socialise with other kindergarten children. Fatimatou is a clean, tidy and polite young girl. She loves to play with her friends. On school holidays, she often goes to visit her grandparents that hold her dearly. 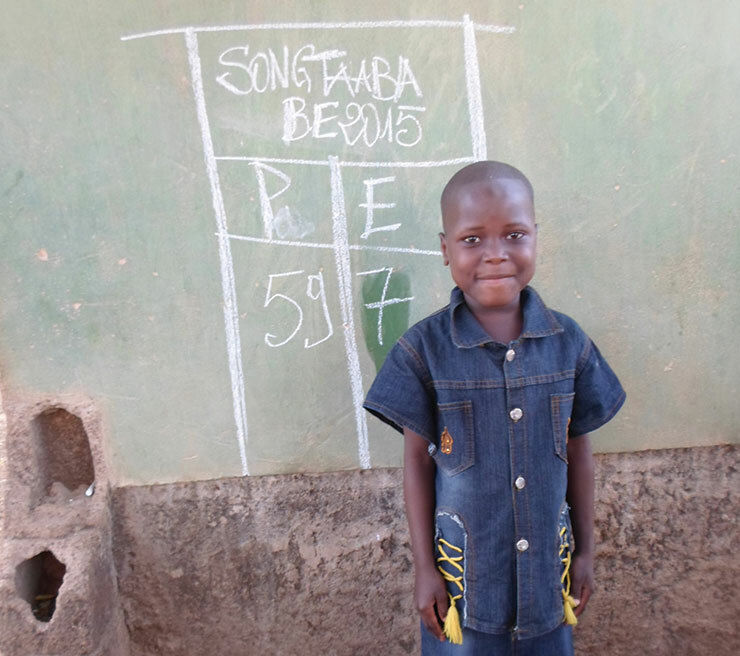 S’Weilika is a timid child who looses interest at school, the teachers use school activities in order to keep her interested. 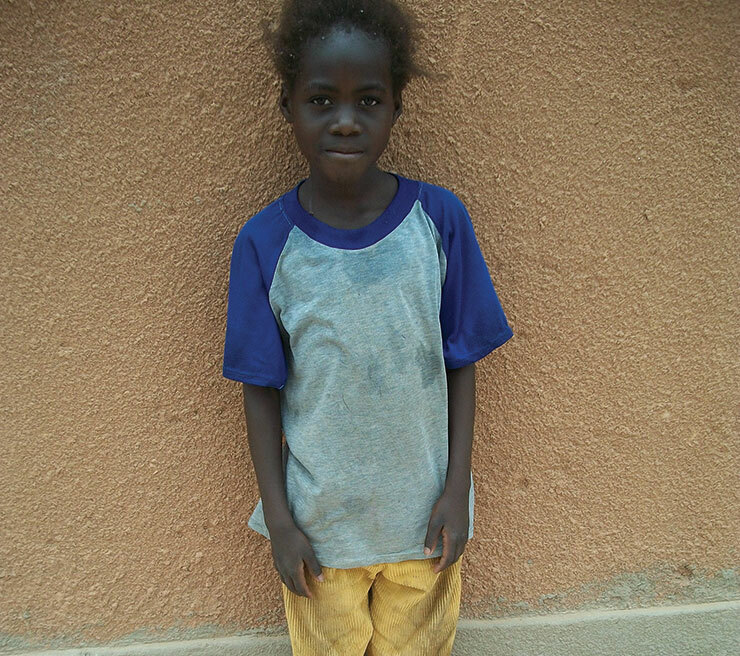 Mariem is a calm, sociable girl who likes to play in the street with her schoolmates. 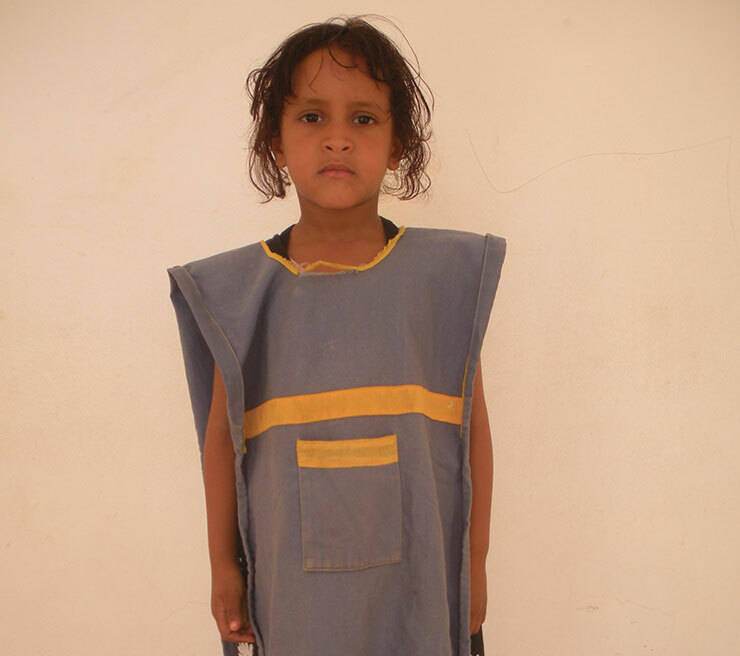 M’Barka is a cute and clever child although she has a low level of hygiene, her teachers continually advise her to wash and explain to M’Barka’s mother the importance of cleanliness as a prevention of diseases. She willingly attends school. 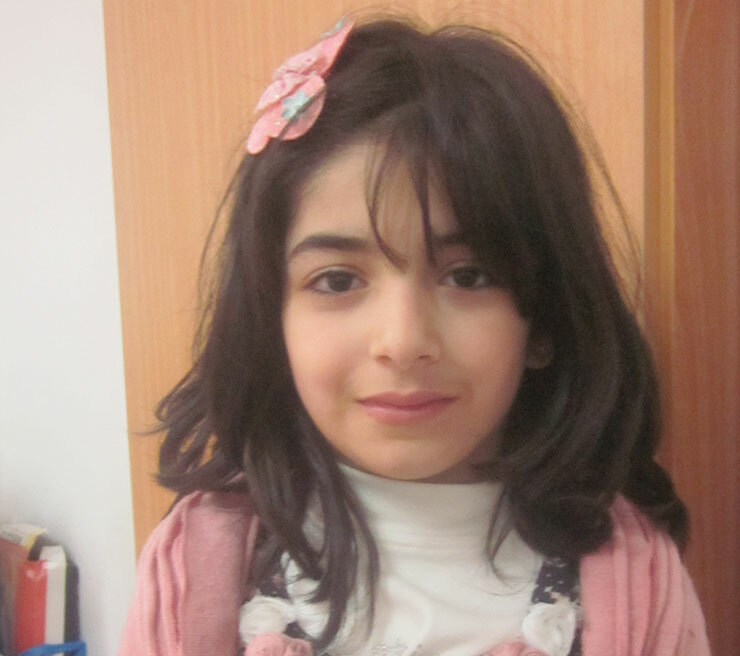 Khalifa is a calm young girl who enjoys attending kindergarten. She has a poor level of hygiene and the teachers explain to her mother about the importance of cleanliness for preventing diseases. Khalifa really likes to play games with classmates. 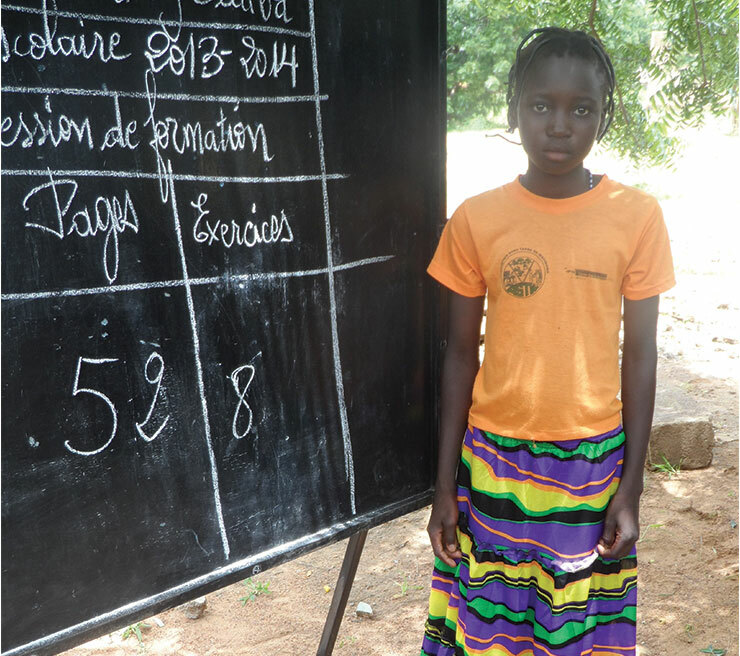 Due to Kadjatou’s recent poor performance at school, she is unfortunately repeating the school year. 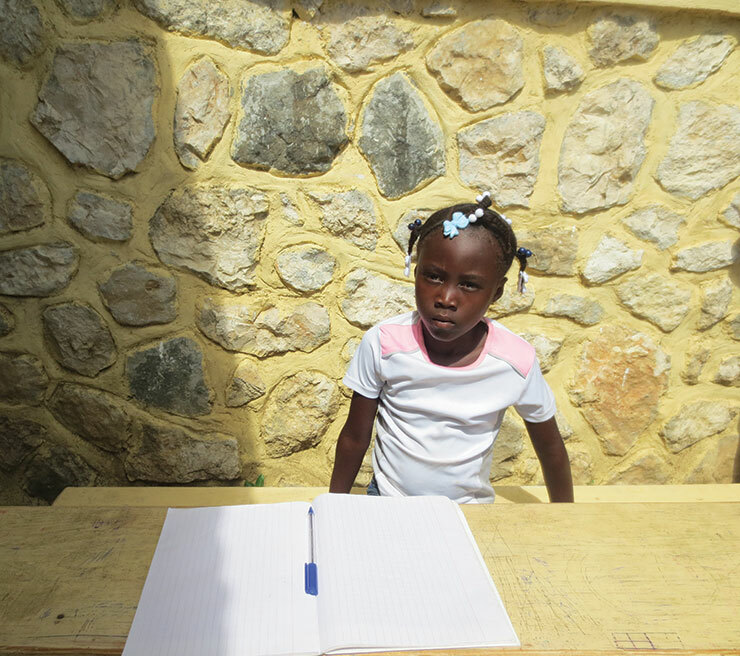 Her teachers follow her progress closely and urge her to increase her efforts. Kadjatou has a pleasant personality, which often leads her to get distracted and chat too much, leading to the poor academic performances. Her parents do not show interest in her studies and allow her to play in the street with her companions. 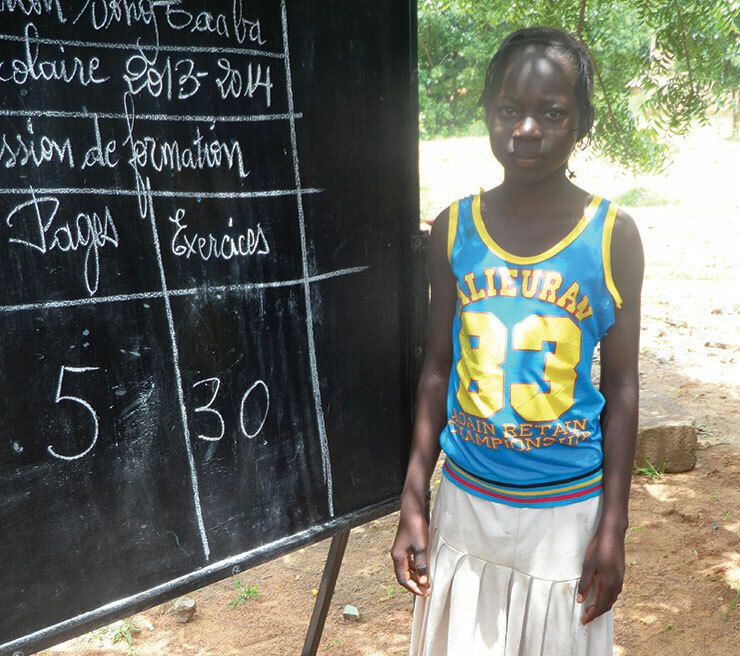 Bintou’s education performance is always good, she wants to improve her studies. She’s a little bit shy but has managed to blend her character with the school environment. In her free time she prefers to watch cartoons on television. Vala is a good student, her character has definitely improved over the past year and she now holds good relations with both peers and teachers. She does not have any learning difficulties in any of her subjects. In her spare time, after doing her homework, she plays outside or relaxes by watching cartoons on the television. 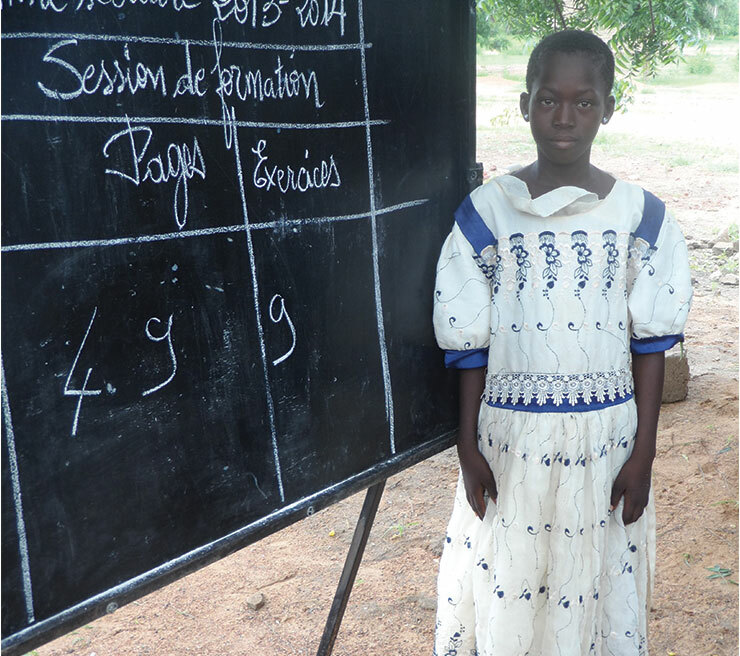 Fatimata has experienced difficulties in a number of various subjects and has failed her past year, she is now repeating this year. 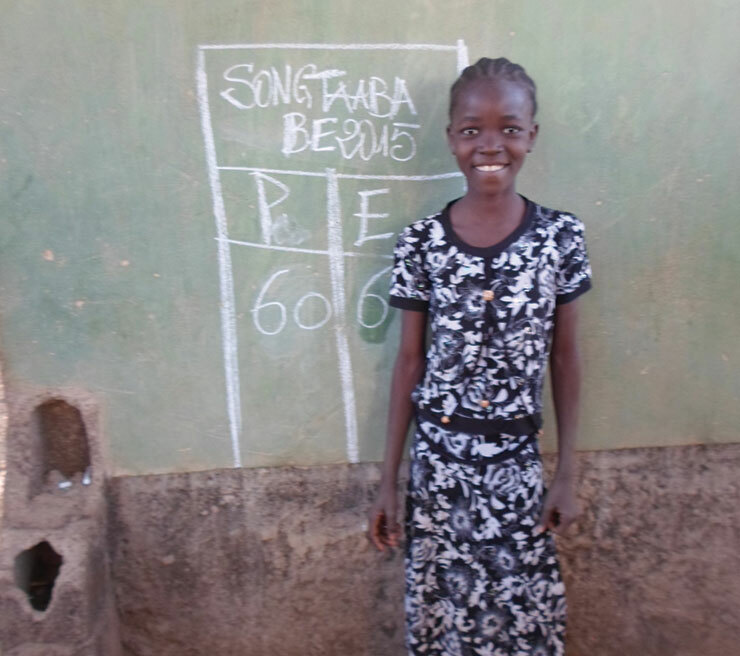 She hopes to improve her school performances with the aid of her teachers. Fatima has an open character that leads to good relations with both teachers and classmates. After the disappearance of her father and the death of her mother, Lala suffers from depression. At school, her teachers try to help her but they struggle due to matters being unsolved. She is now repeating the year. Lala lives with her brothers and grandmother who plays the role of mum. Aichetou is a lively young girl who sometimes argues with her comrades for trivial reasons but the teacher manages to distract her from the quarrels and keep her interest in educational activities to an optimum. 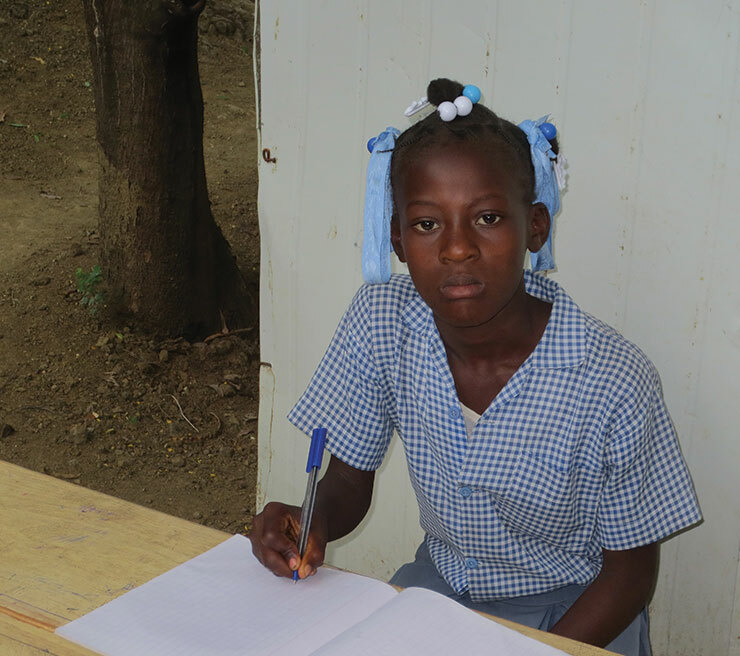 Her academic performance is sufficient and she wants to continue to improve her education. During her free time, she likes to play in the street with her companions. Narmeen is 8 and is in second grade. She loves all her teachers and classmates but Amera is her best friend, and they like to spend lot of time together. At home she likes to play with dolls, but she also helps her mother doing household duties. She has one brother and three sisters. Her father doesn’t have a permanent job, and it is not easy for him to provide to the needs of the family. They live in a rented house with kitchen, bathroom and two very small rooms. Eman is a very sweet and active child. 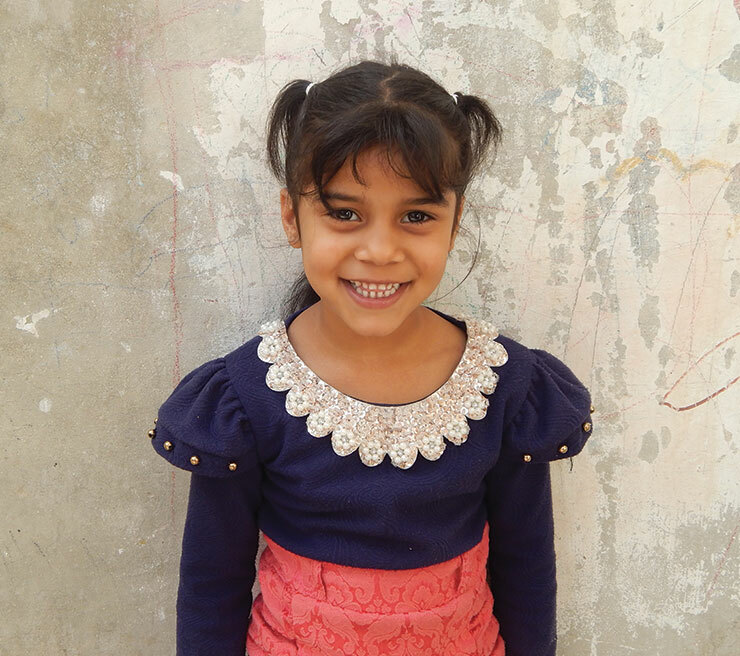 Like Ghazal, she is 6 years old and she is getting ready to start primary school, but she started going to Kindergarten only recently, thanks to the project. She spends lot of time with her siblings and cousins, that live in the same house. There are 20 people living together. 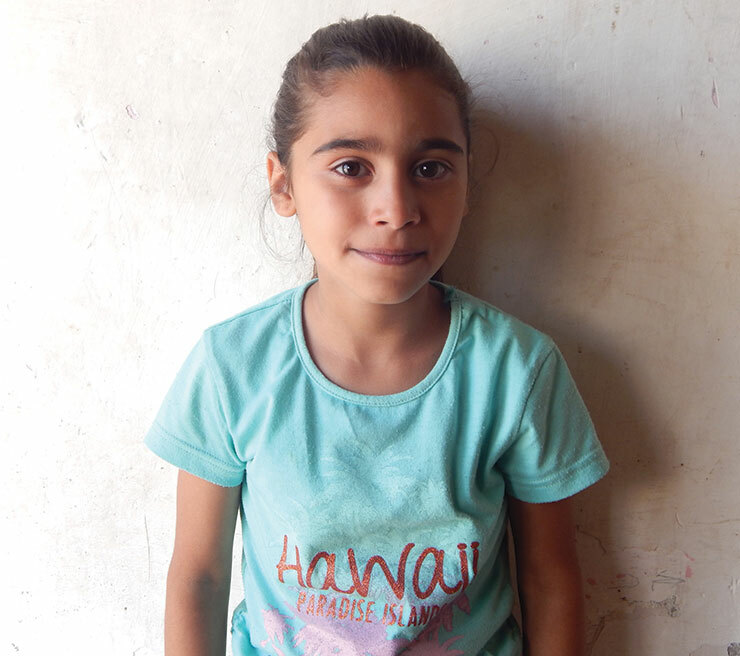 Eman’s family is big: they are 8, her parents with 3 boys and 3 girls. Her father works in a restaurant and the family is quite poor. 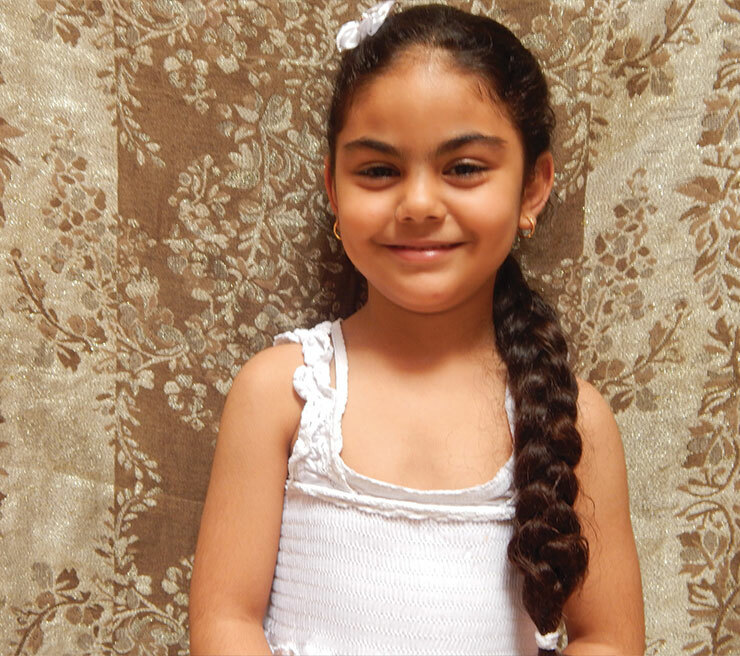 Ghazal is 6 years old; she is finishing preschool and will start primary school in October. She likes going to school, in particular she likes drawing and singing. She is a jolly little girl, kind and friendly. At home she likes to help her mother and takes care of her younger brothers. She has 2 brothers and 5 sisters. They get along very well; Ghazal loves to walk around with her older sisters. The family lives in a very small house; they have only one room, besides bathroom and kitchen. Father works as a garbage collector. 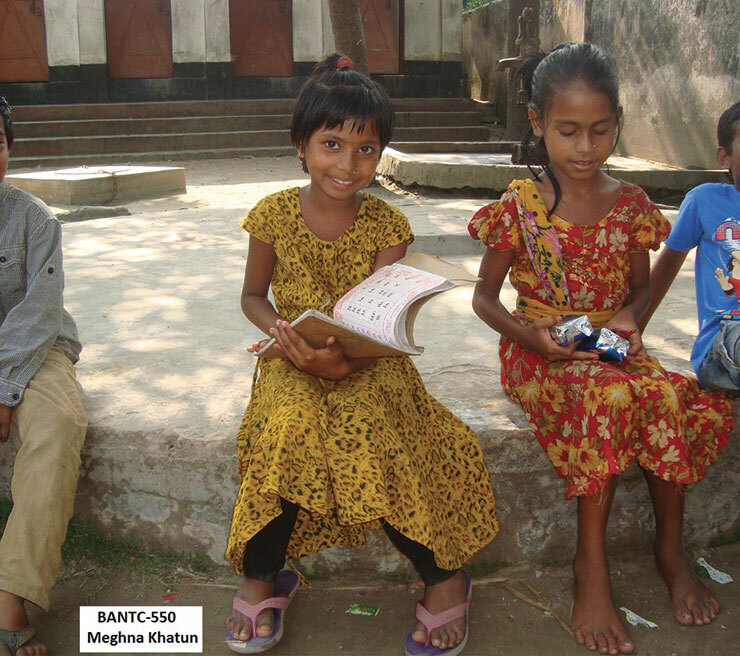 Aghina likes going to school, especially when there’s her favorite teacher Zainat, who is sweet to everyone. In class she likes to spend time and study with Siwar and Touteen. Her favorite subject is Arabic. Ghina is a sociable girl, very sweet and affectionate with her mother and older sister, with whom she spends alot of the time, playing with dolls. Red is her favorite color. Quiet in appearance, however her mother suggests that she is very lively both at home and outside. Talia likes to go to school, she is very kind to all of her classmates. 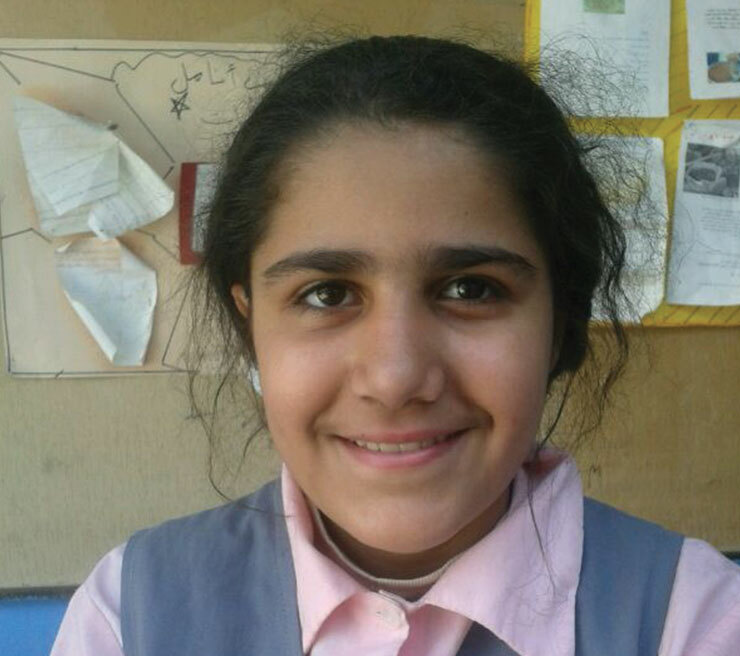 Her favorite teacher is Miss Youssra, due to her being the most helpful and kind to the pupils. Talia is a sweet little girl who spends time playing with her doll, drawing and playing outside. Her favorite color is pink. Due to her love for drawwing she wishes to become a great art teacher. 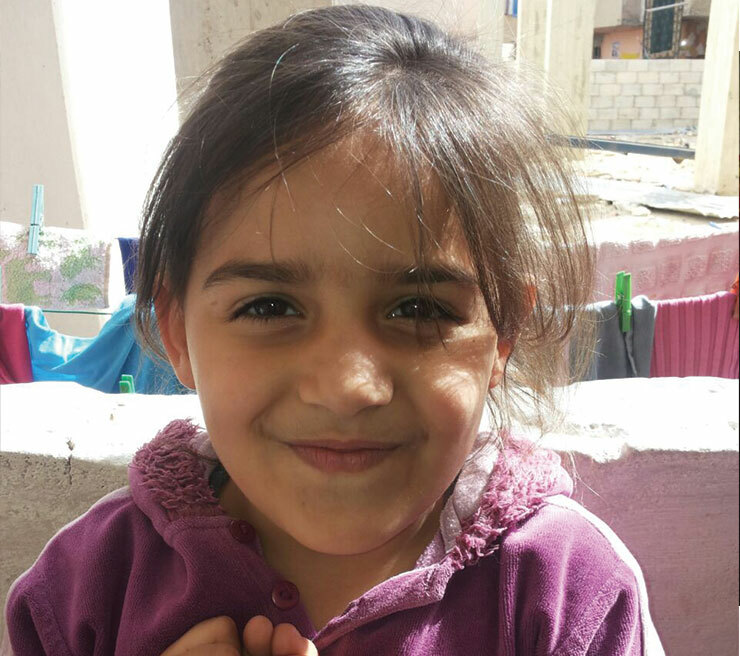 Hiba loves going to school, she likes to play with her cousins, who are in the classroom with her, coloring and shapes with modeling clay. Her favorite teacher is Miss Nadeva, because she feels that she loves her very much. Her best friend, and her classmate is named Dania. Hiba is a very sweet and affectionate girl. She is the youngest in the family so is very spoiled by all the sisters and mom. She likes to watch TV and play games, and in her spare time likes to walk around the Old Town, with his older sister. Red is her favorite color and has big dreams of becoming a teacher. Farah is 7 years old. She lives near Hebron with her parents and two sisters. She attends primary school and is a very good pupil. She says she intends to become a doctor. 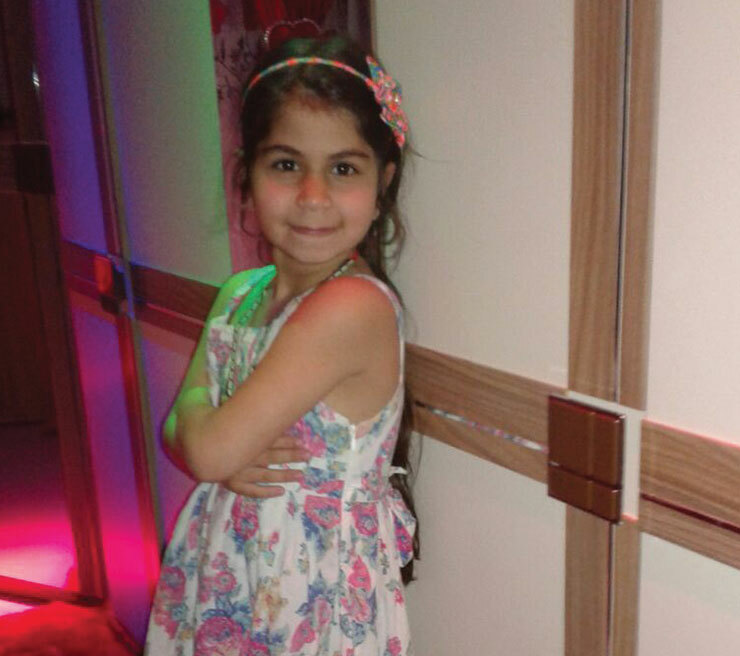 Farrah is healthy, likes to play any kind of games, loves to watch cartoons on TV and to play with Barbie. Lethar is 6 years old. 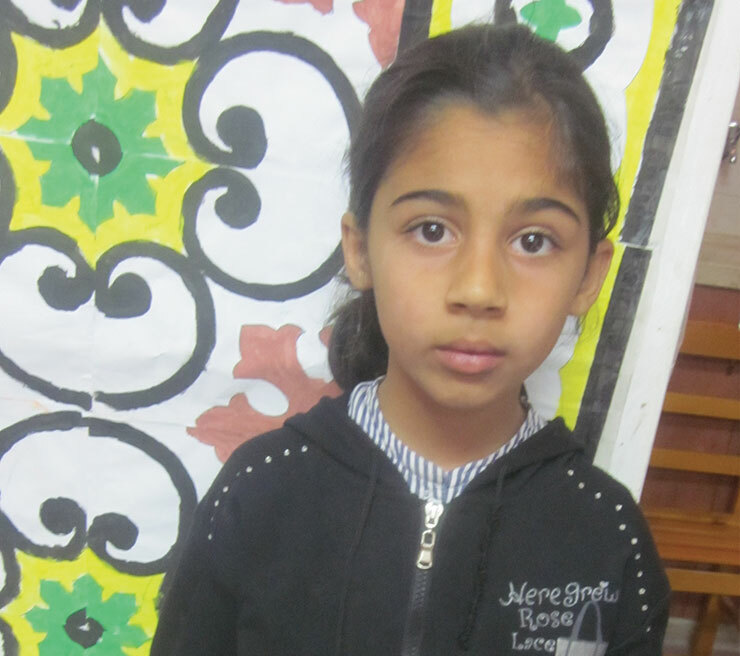 She lives near Hebron with her parents, her grandmother, 5 brothers and two sisters and attends primary school. She is a very good pupil. She loves to play with Barbie, to draw and watch cartoons on TV and her health is good. Maram is a very nice and quiet child. She is a little shy and unsociable, she does not like to be out of the house. She likes to sit quietly drawing or watching television. At the center she takes part in art workshops and participates in the computer course of which she is very passionate about. She will also be involved in recreational activities and in those of the summer camp next summer. In the future she wishes to become a policewoman. Gentle and polite, Sandra is becoming livelier and often finds herself in trouble among her friends although nothing serious. At school she is an average student although continues to progress through the years. When time allows she enjoys playing with lego and her dolls, being with friends and playing with make-up. She also likes to eat a lot and often helps her mother in the kitchen to learn the dishes of the Palestinian tradition. 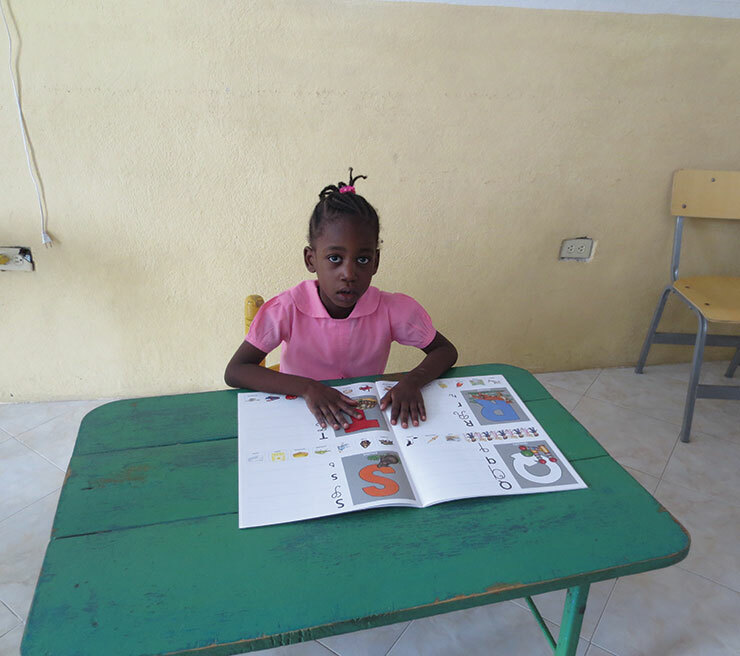 She attends the community club and participates in drawing workshops in the library, trips and the summer center. At the beginning of the school year, she received the complete kit for school (backpack, pens, notebooks, pencil case and stationery). 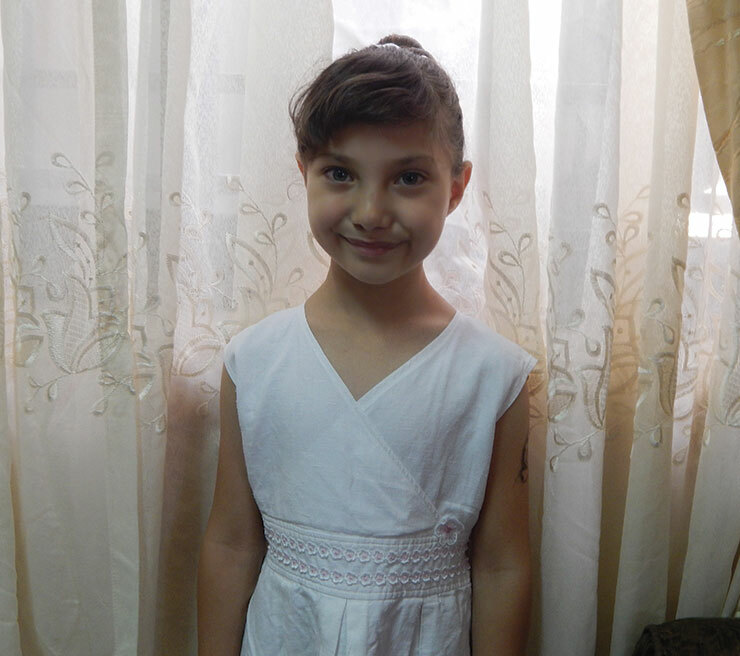 Hala is a sweet, intelligent girl who attends second grade at the Al-Melaweya School of which her results are very good, she is above average in all subjects, but her favorite lessons are Arabic and English. She has two best friends who are called Ru’a and Mayar, with whom she spends much time, and from which he is inseparable, even in the classroom. Hala loves to dance and watch the television programs dedicated to dance, especially those where there are Indian dancers. Her dream is to become a teacher of Arabic, she loves to eat fried chicken, while red is her favorite color. Educated, lively and very intelligent, Sara is above average at school and receives good grades. In her free time she enjoys reading, playing with dolls and drawing. 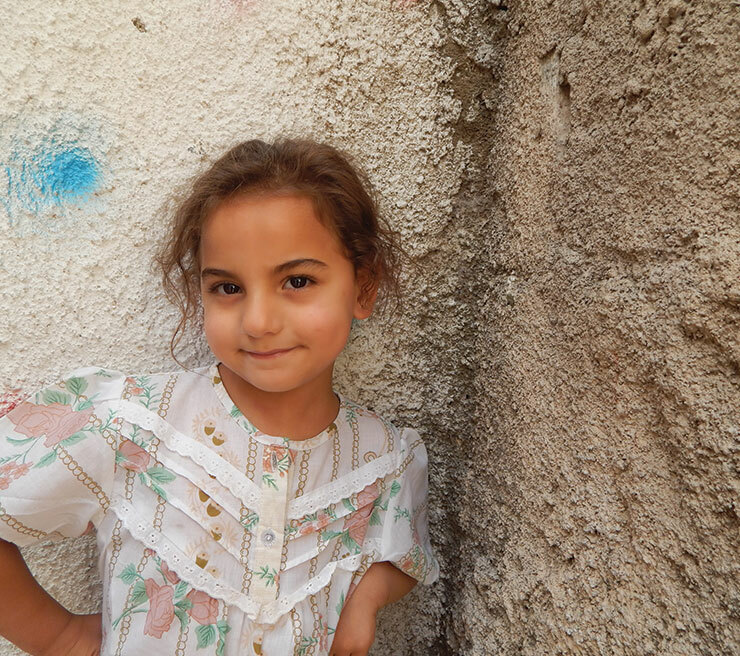 Her dream is to move house and live closer to her grandparents, who she adores but live in Hebron. She attends the center and participates in educational support, a computer course to design labs, the library activities, tours, the choir and the summer center. She received the complete kit for school at the beginning of the school year (backpack, pens, notebooks, pencil case and stationery).